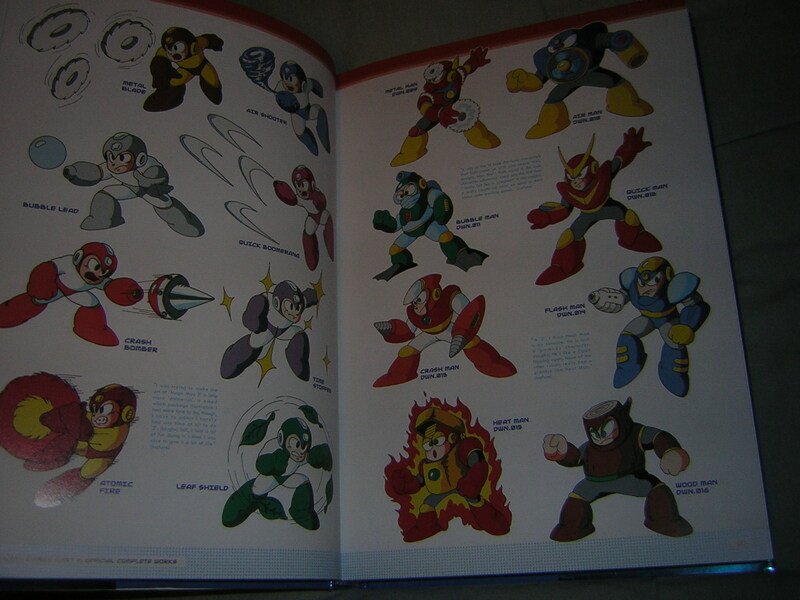 I have loved lots of video games in my thirty-something years, but few as much and as passionately as the Blue Bomber—Mega Man himself! 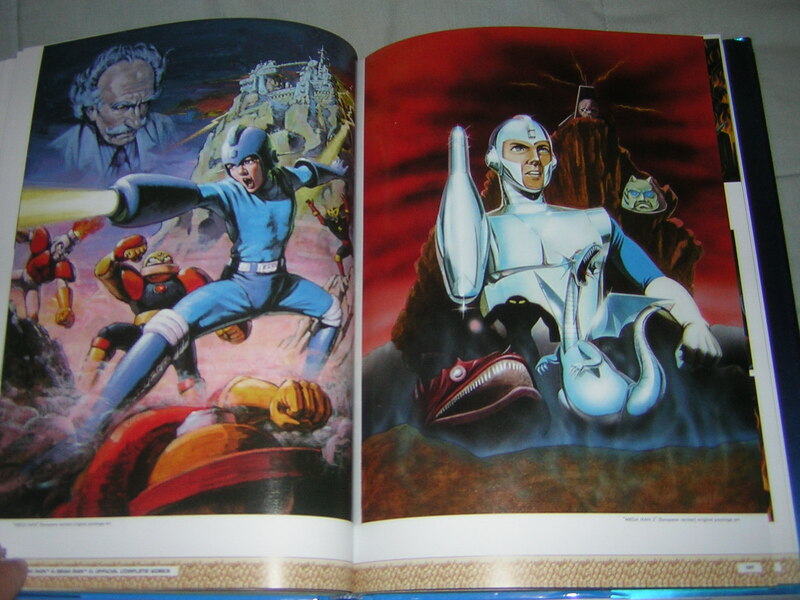 First introduced to him on the NES, I initially found the games too hard to beat. Not that this stopped me from playing them, mind you; to the contrary, I kept trying and trying until I gradually got better and better. 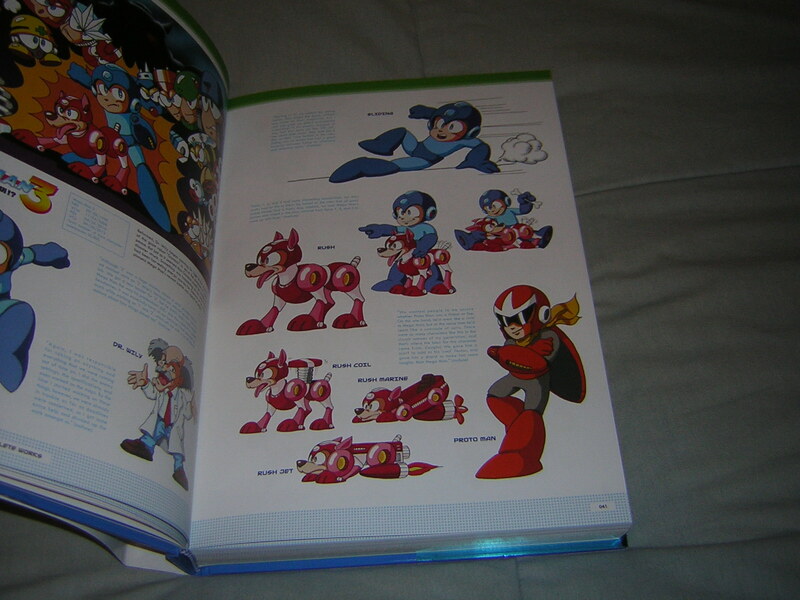 Nowadays, I can proudly call myself a Mega Man pro. 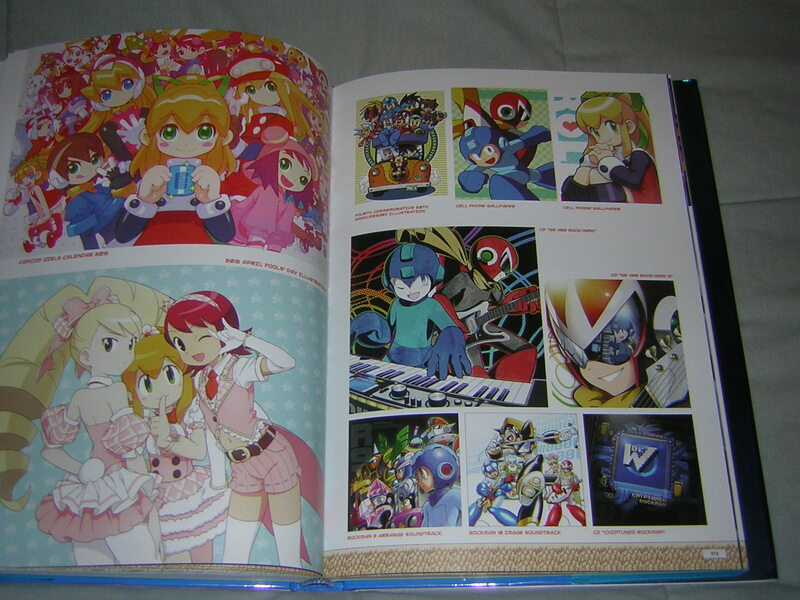 I have played all the main games in the series multiple times and have even enjoyed many of the offshoot titles. 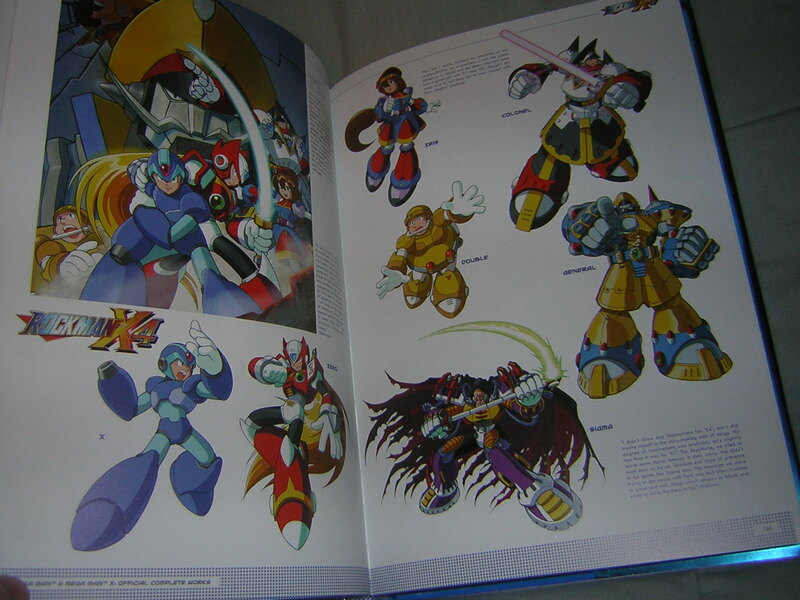 Thus, it was with great pleasure that I got my grubby mitts on MM25: Mega Man & Mega Man X Official Complete Works. 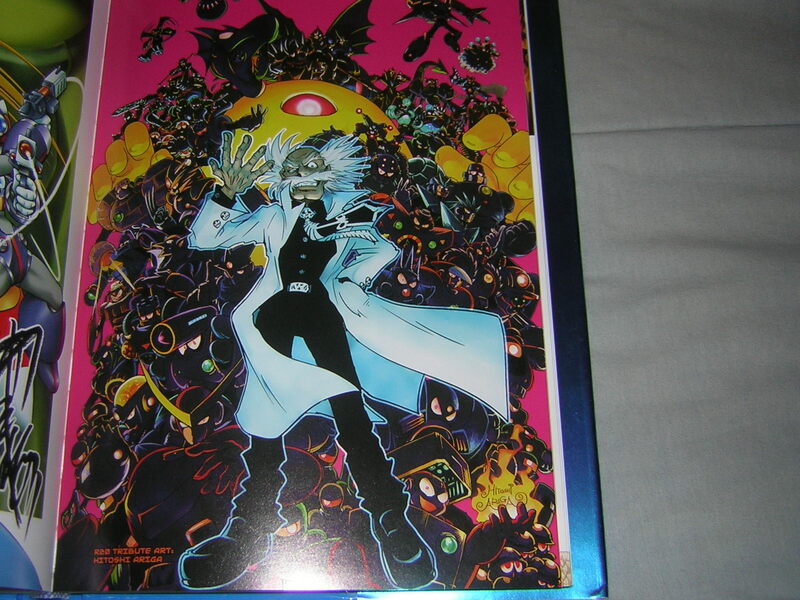 Not only that, I got the exclusive hardcover edition from the San Diego Comic Con, thanks to a very close friend who picked it up for me. 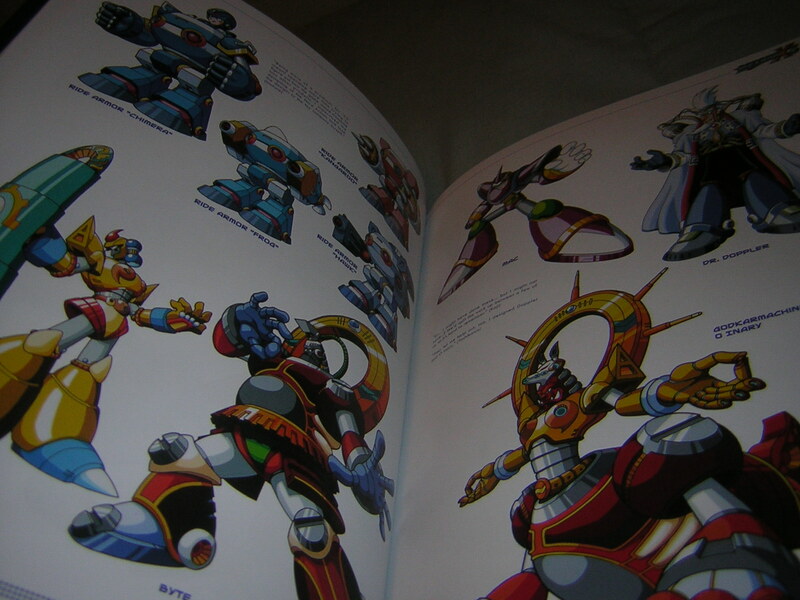 First, I have to take a moment to express how beautiful and faithful a book it is. 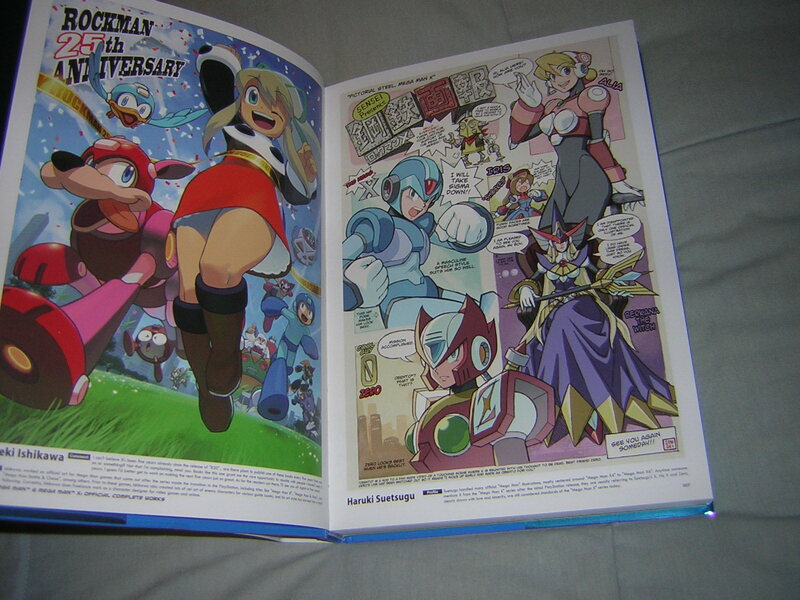 The outer dust jacket is a glossy, metallic blue, and the inner pages are all crisp, heavy paper stock. 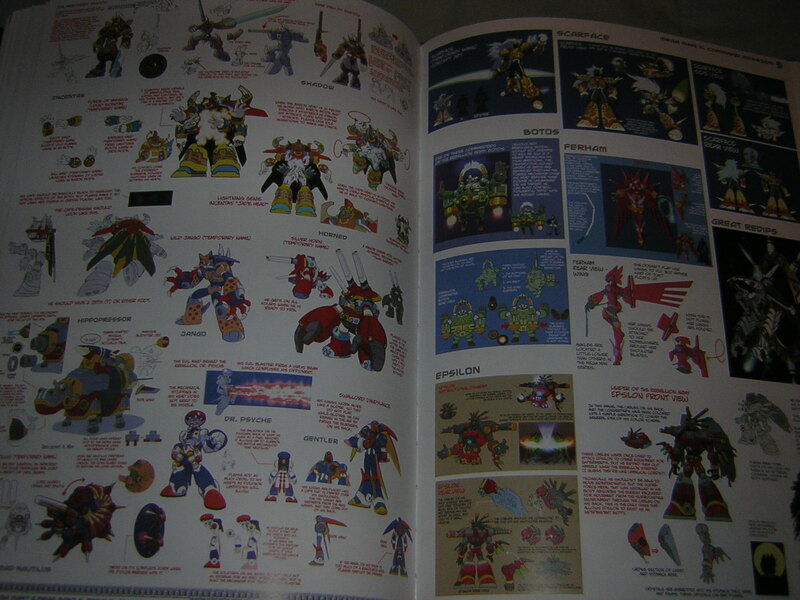 Pages turn with relative ease and don’t stick together. 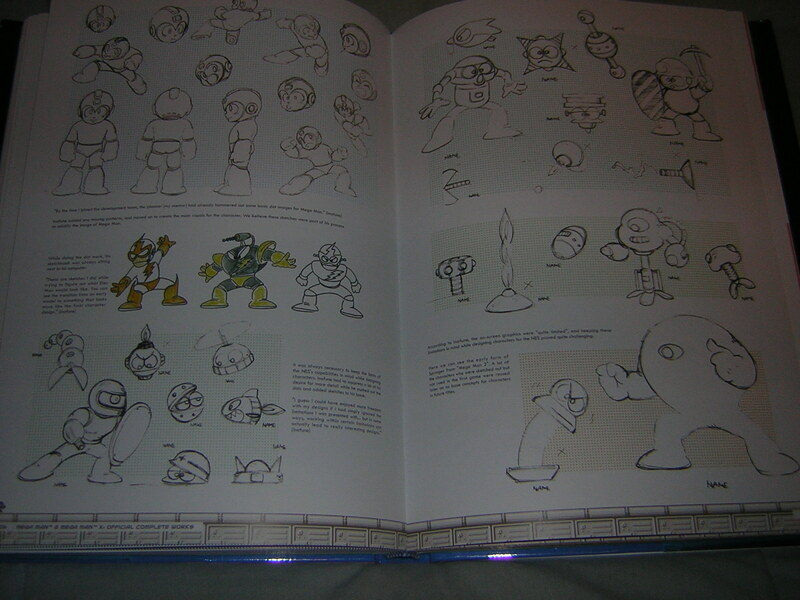 Furthermore, the book is full of tons of written excerpts that illuminate the game-making process, as well as the developers’ personal insights. 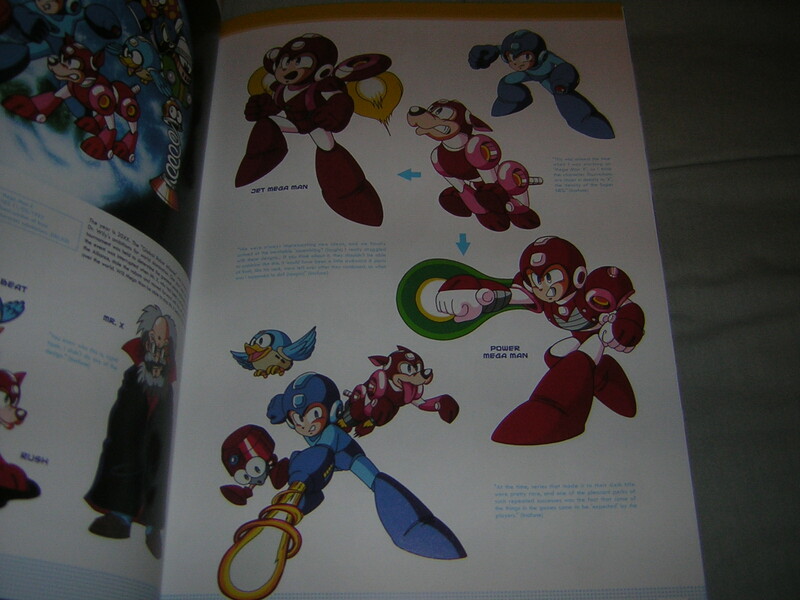 The book is so faithful to the original source material, they even tried to use the same colors from the game box for images when they reproduce them in the book. They even retained the original punctuation errors in the transcripts. 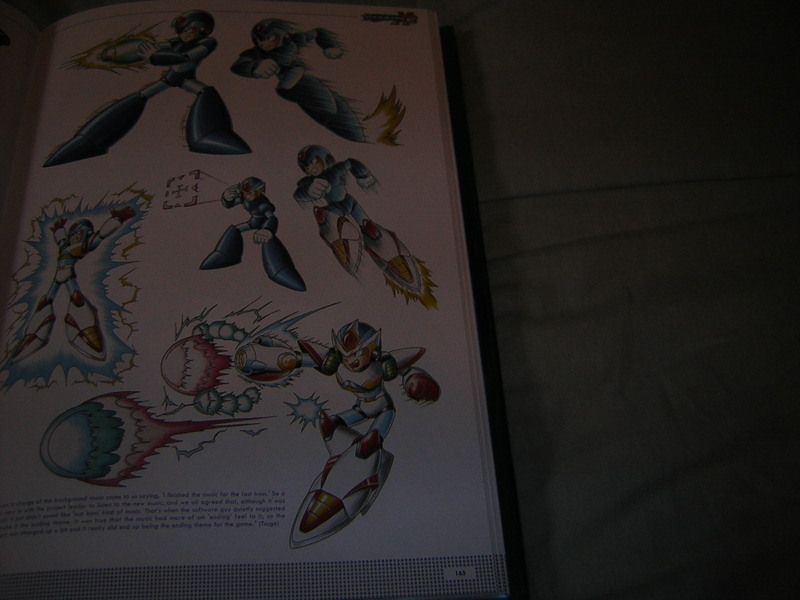 Beyond that, it represents both the Mega Man and Mega Man X series very faithfully and gives equal representation to both. 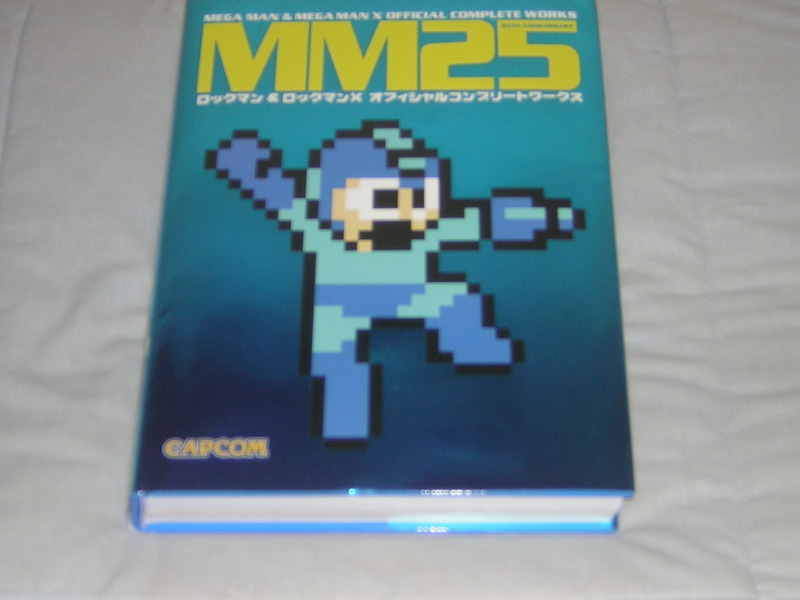 Quite simply, MM25: Mega Man & Mega Man X Official Complete Works is a treasure trove of Mega Man nostalgia. 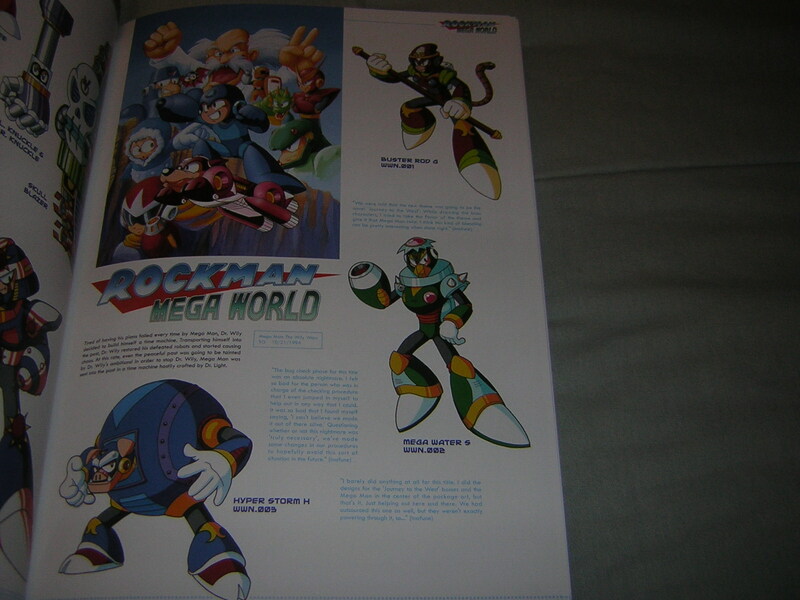 The glory of the first Mega Man game! 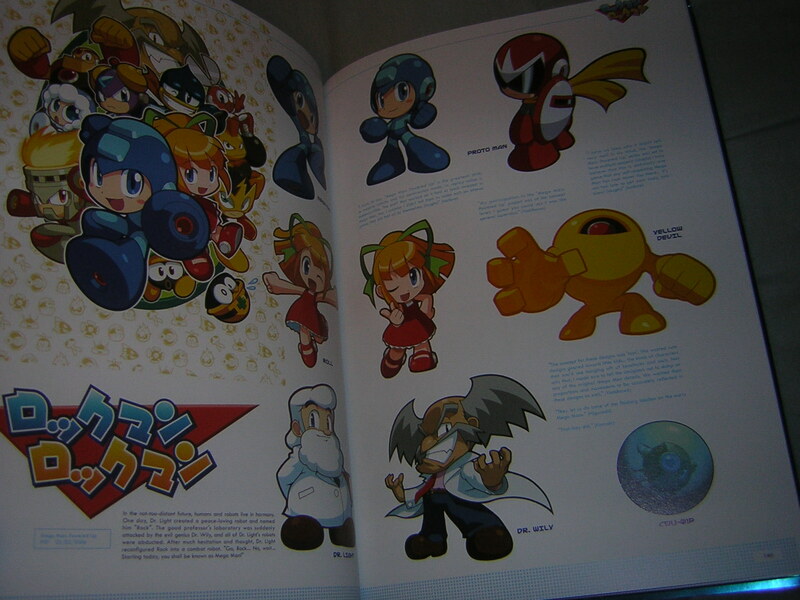 Cut Man is still a classic design. 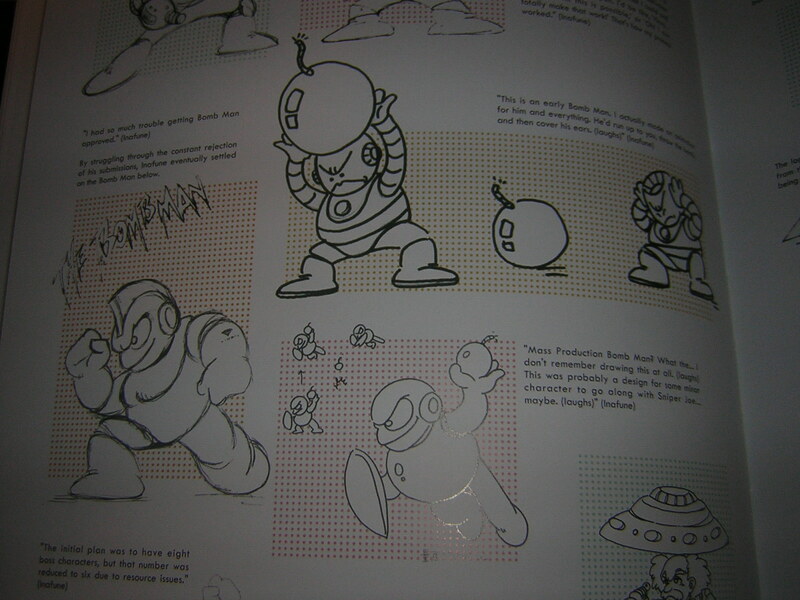 Proto Man being all cool. Still love the Rush Adaptor. 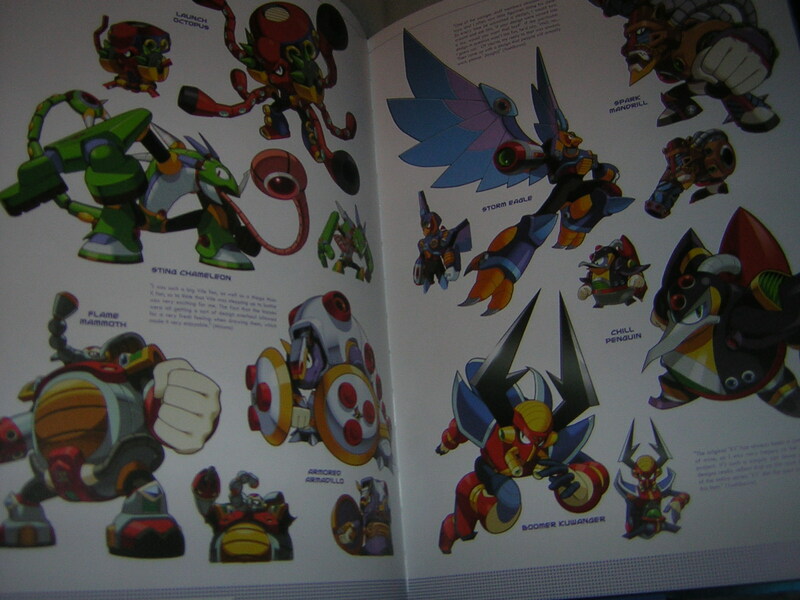 Bass and Treble are so cool. 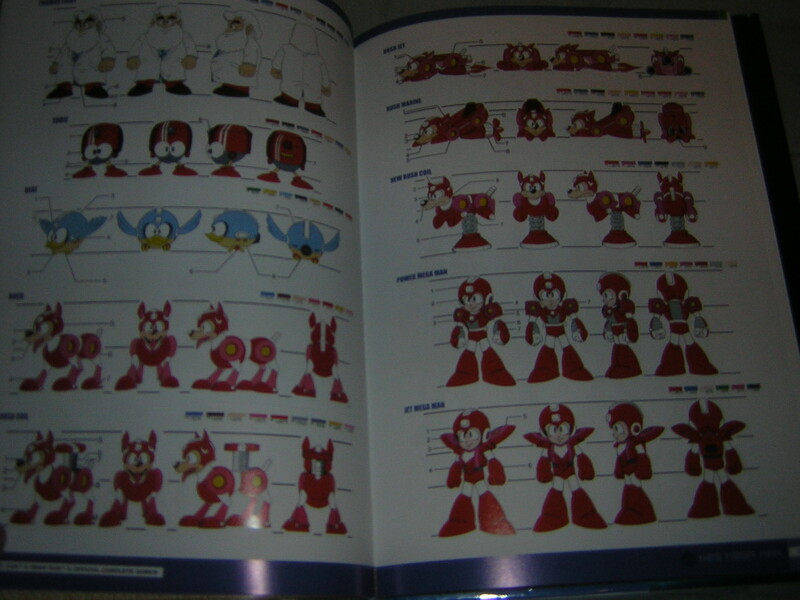 Proto Man has hair! GASP! 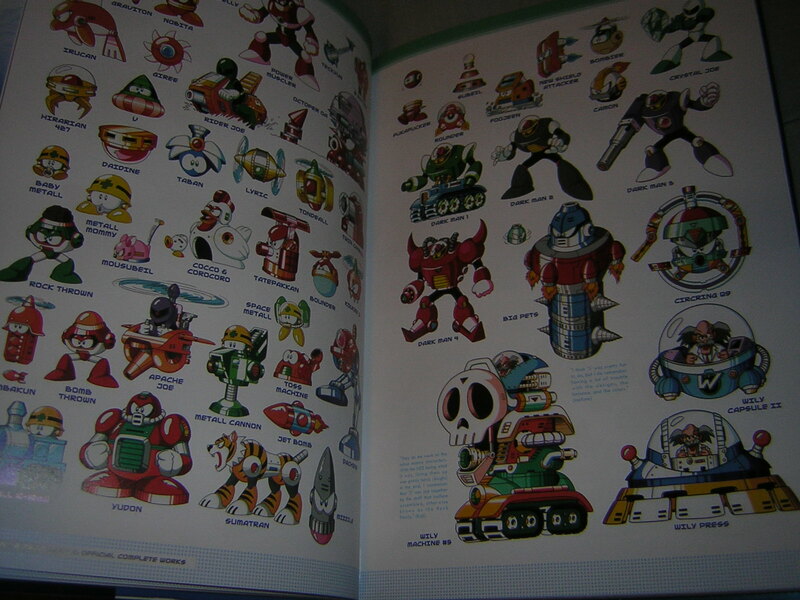 Mega Man 8 had some of my fave all-time boss designs. 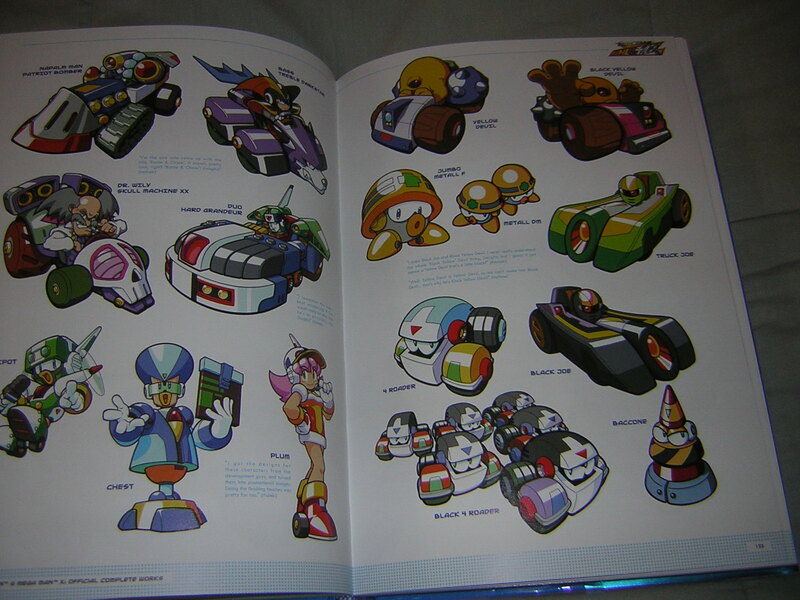 Though not technically a main game, Powered Up was a fun and quirky remake. 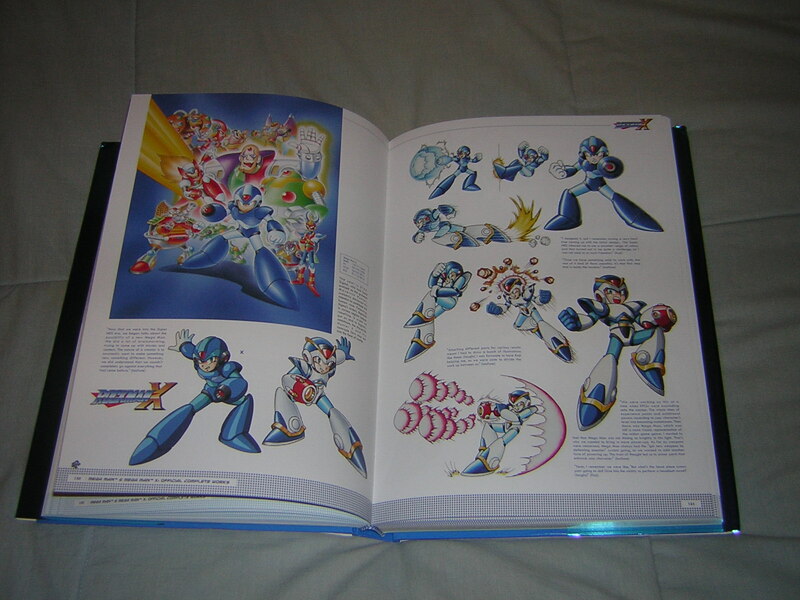 The original X game was groudbreaking for me. 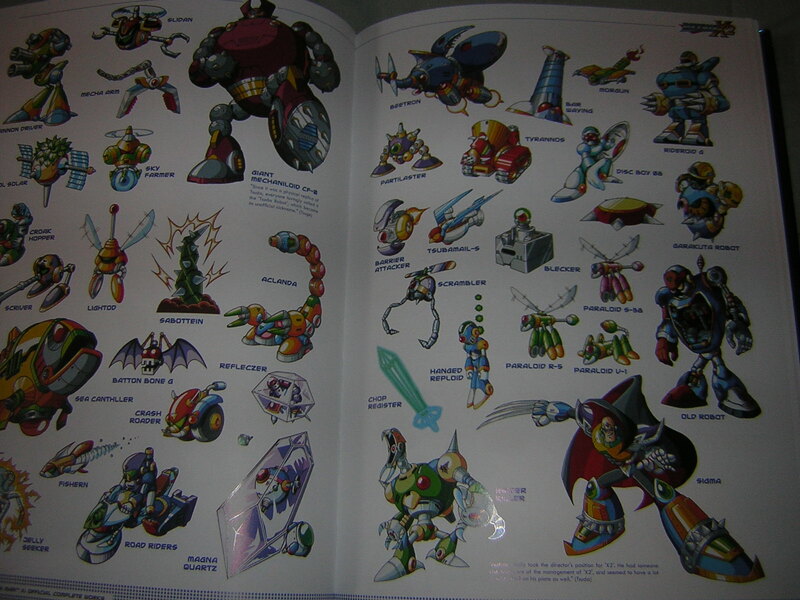 I loved Vile, Sigma, Zero and the new dashing and climbing mechanics. 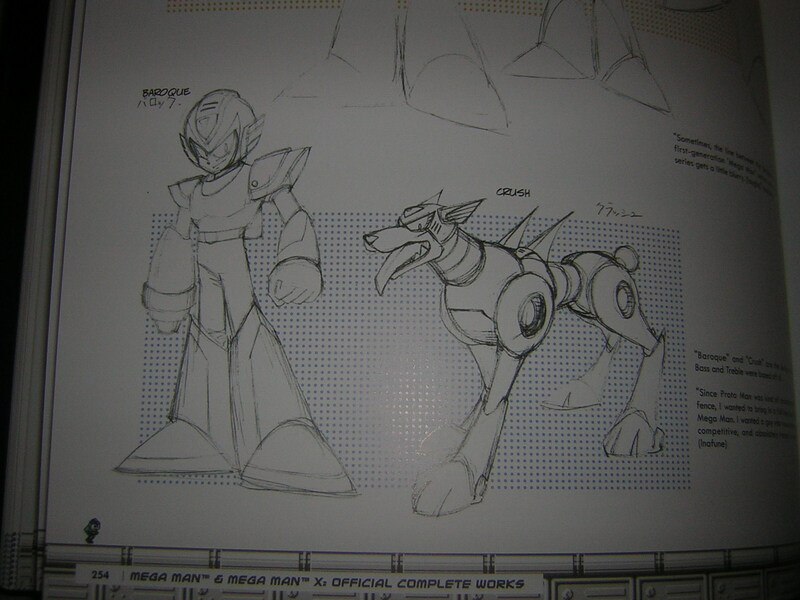 Sigma’s hound had a name! Who knew? 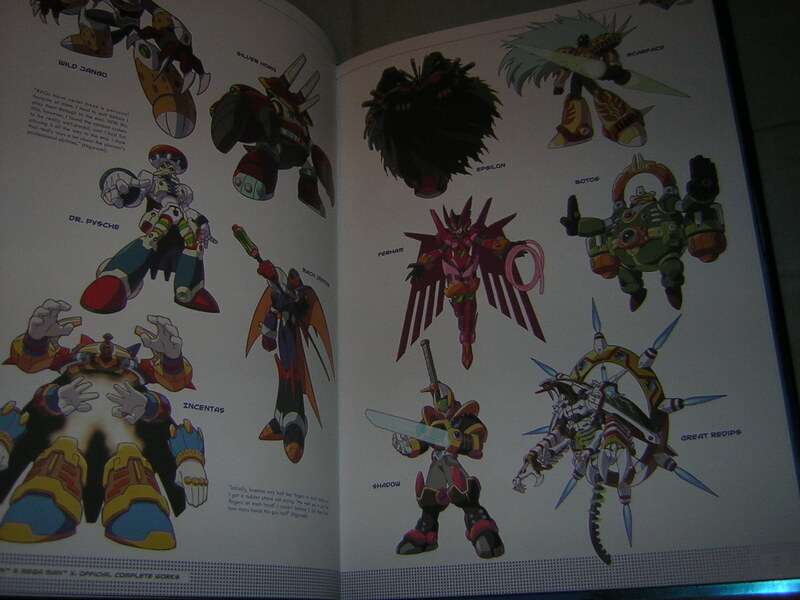 Some still shots of the first Mavericks. Action shots of the Mavericks. 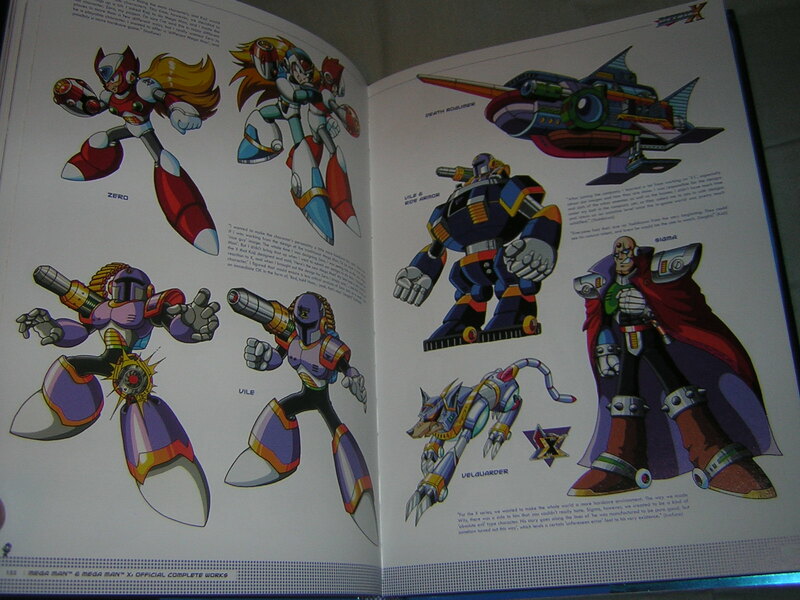 I still love the design of Sigma’s final form. Not sure if it’s a rat or a dog, though. 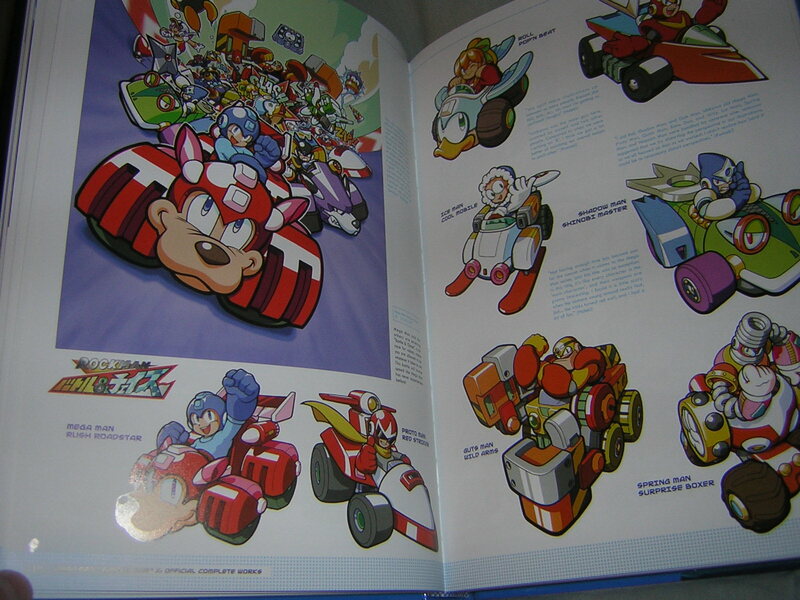 The X-Hunters in all their glory, plus some cool Ride Armor. 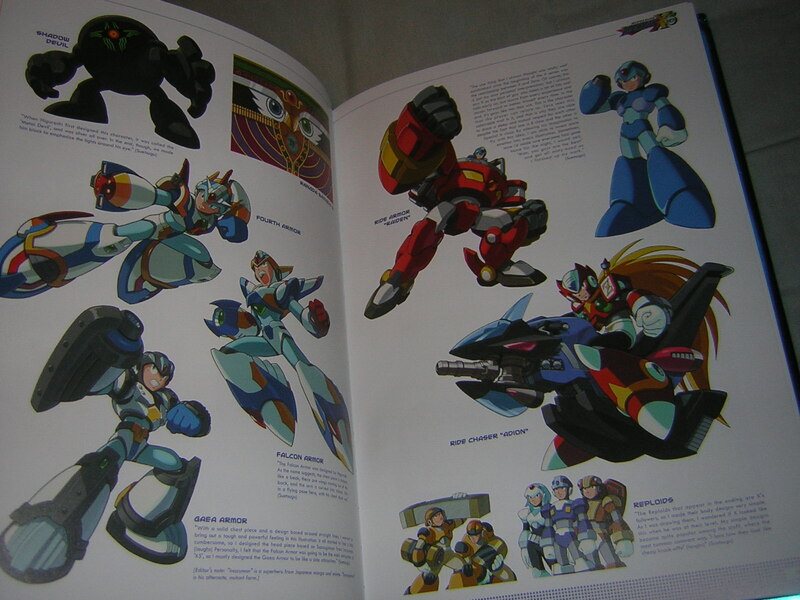 Close up of the X-Hunters. 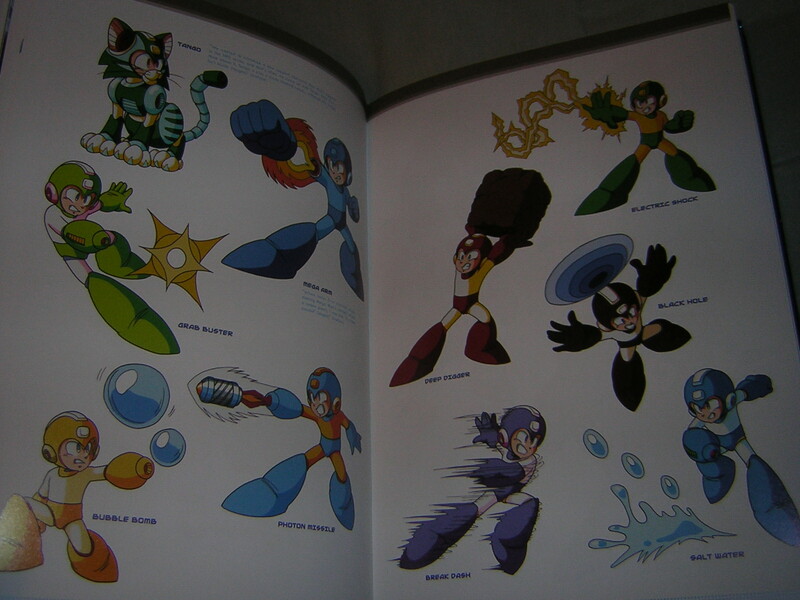 Sigma with Wolverine claws. So lucky they didn’t get sued. The charge shot in this game was fantastic. 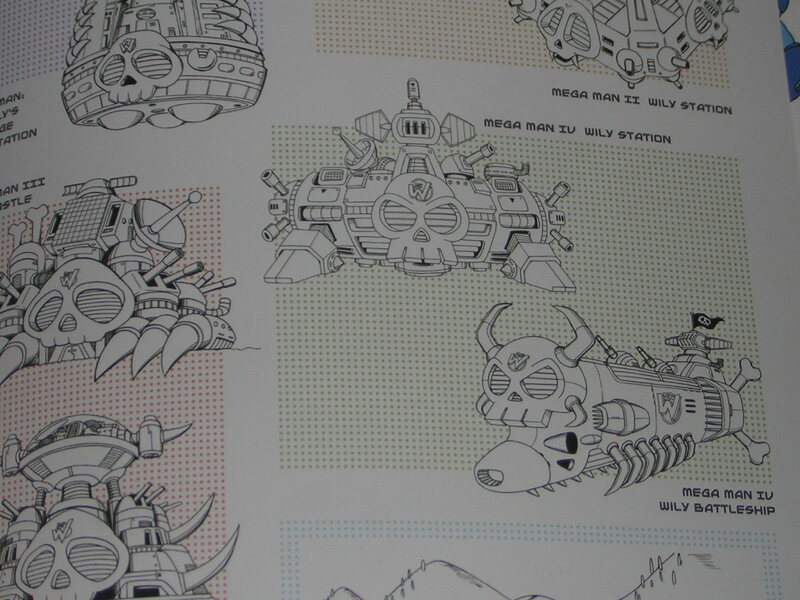 Bit and Byte, plus their combined form. 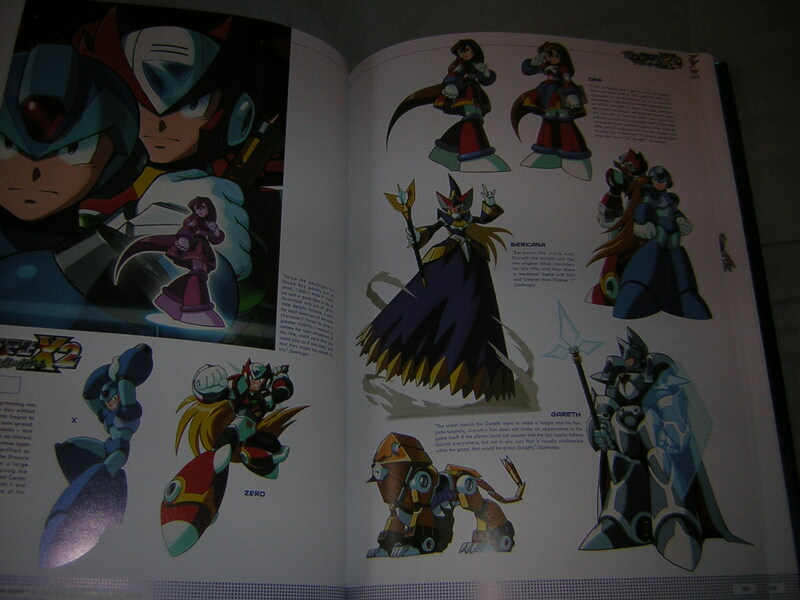 Reaper Sigma is still my favorite overall design. 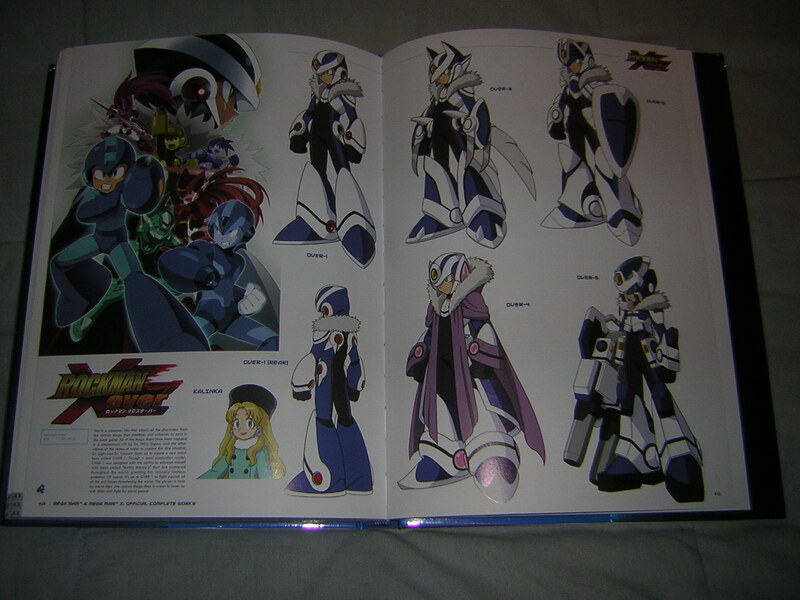 X got some great armor in a lackluster sequel. 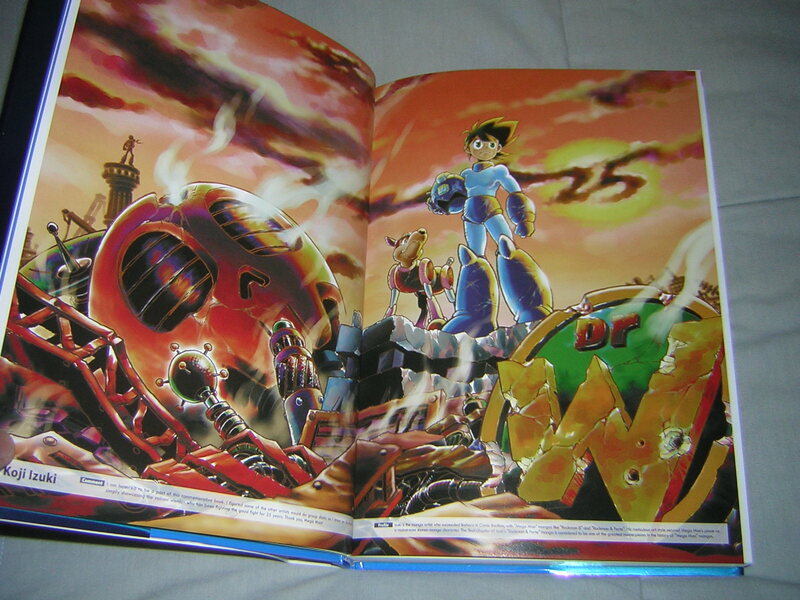 Cool stills of the opening sequence from X5. 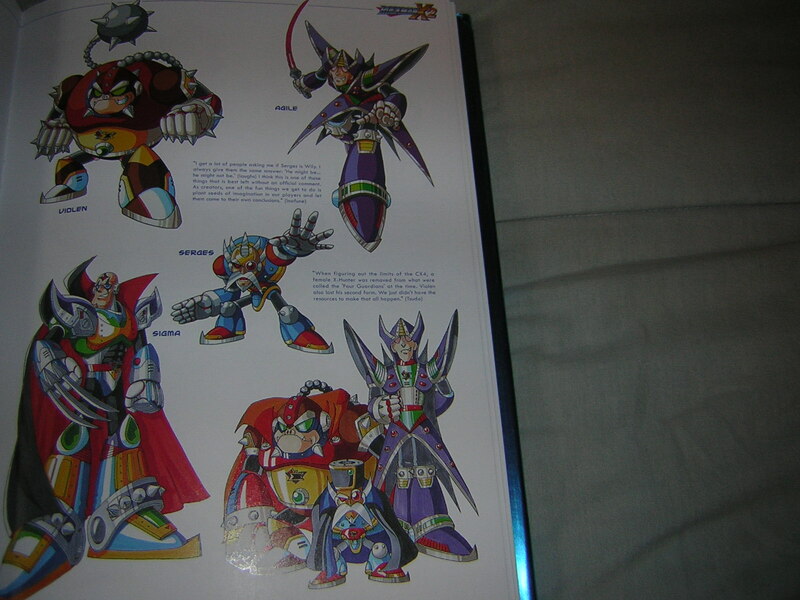 Never played X7 or X8, but I like the new characters. 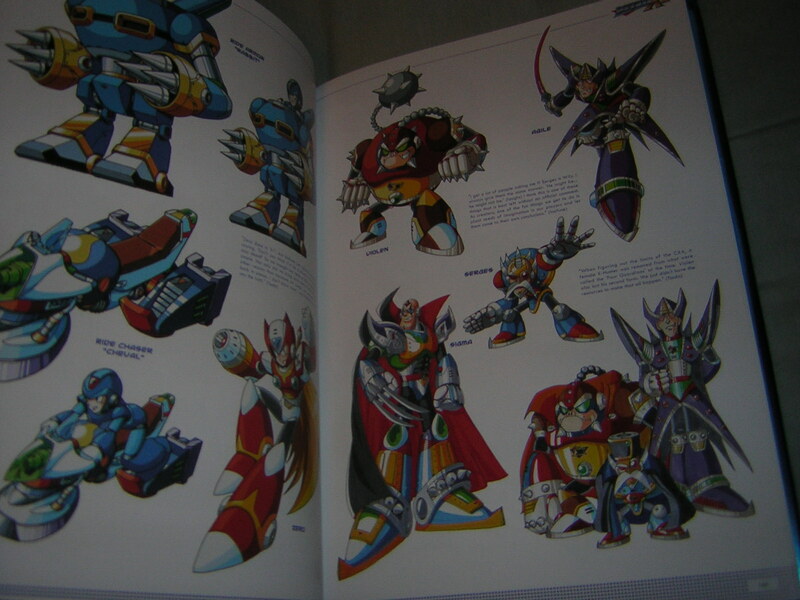 I like how they retooled the designs for Maverick Hunter X. 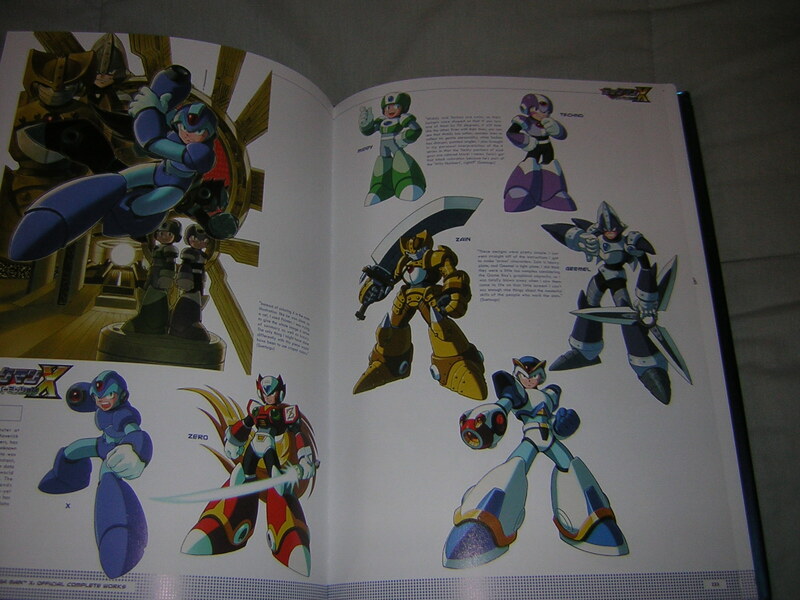 The X series had its ups and downs, plot-wise, but gameplay-wise, they were all pretty fun. 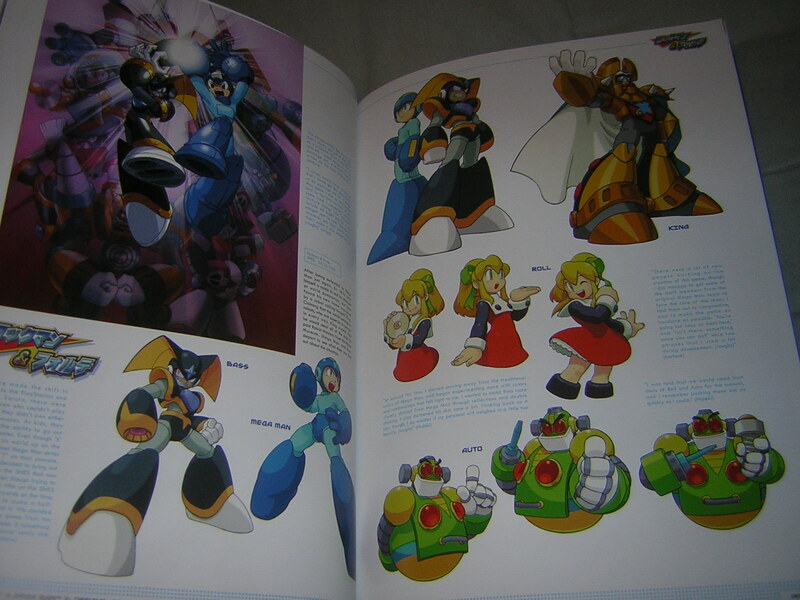 Zero did steal the show, but that only made the series more original and less derivative. 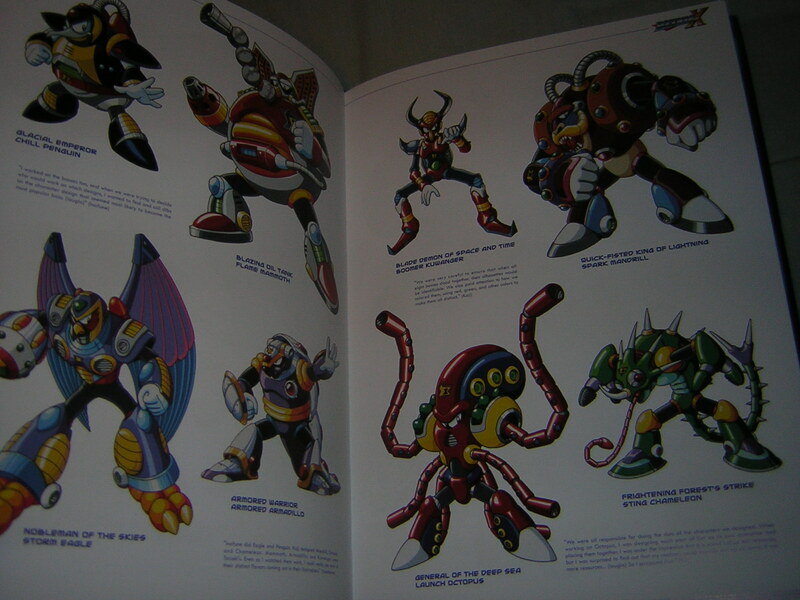 I also really liked the use of animals for Mavericks instead of the standard humanoid Robot Masters. 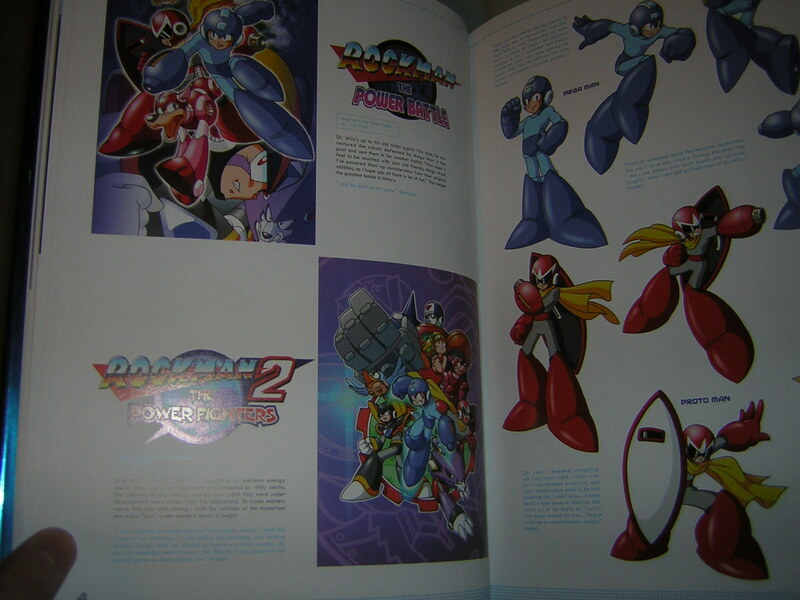 Besides these two main series, there were a lot of offshoot games that cropped up over the years. Let’s take a look, shall we? 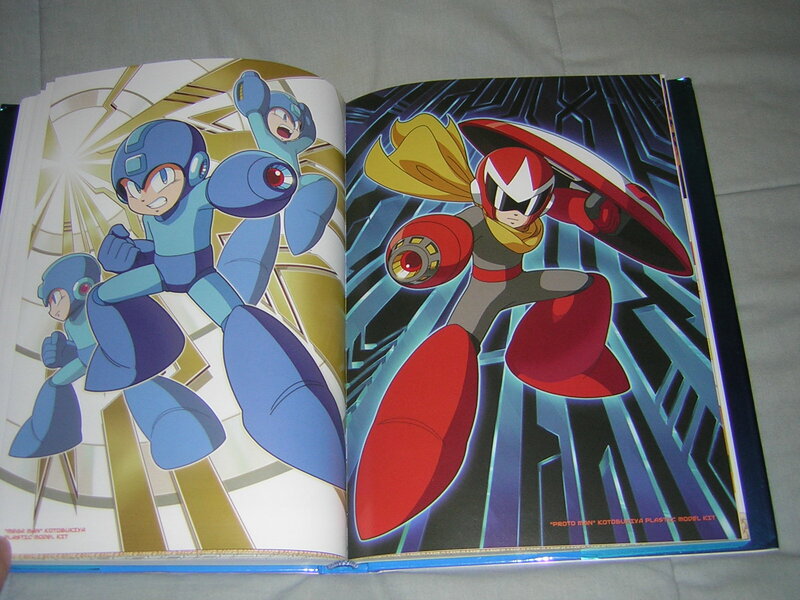 Mega Man & Bass. Such a great yet hard game. 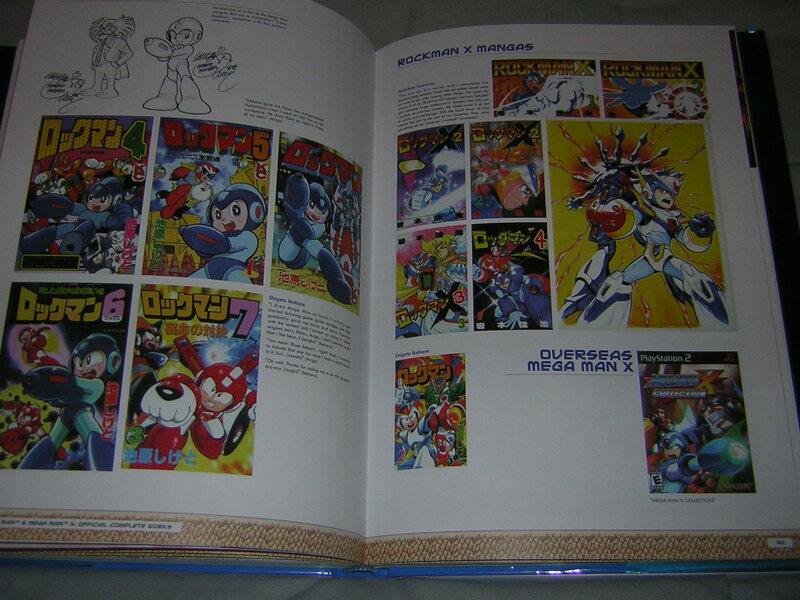 In Japan, all the Game Boy Mega Man games were called Rockman World to avoid confusion. 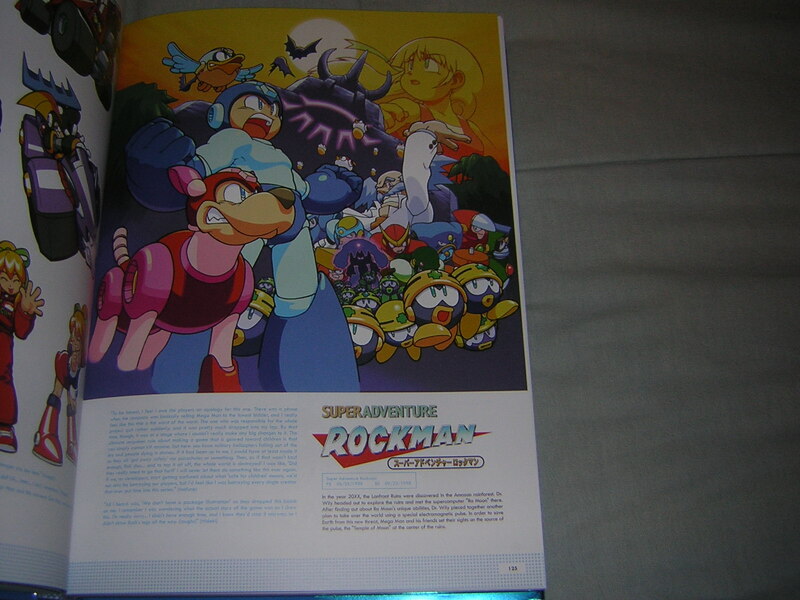 Thus, Rockman World 5, the only truly original Game Boy game. It introduced the Stardroids. 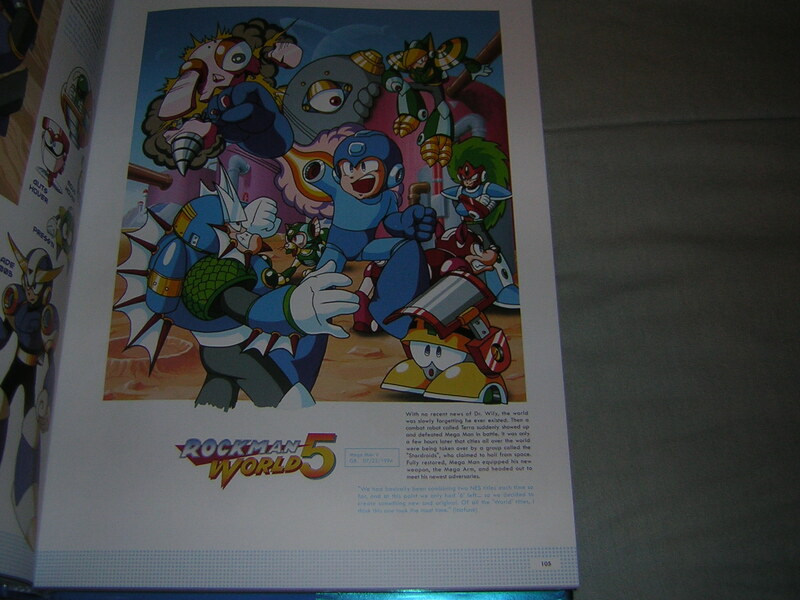 Mega Man got some interesting abilities in World 5. 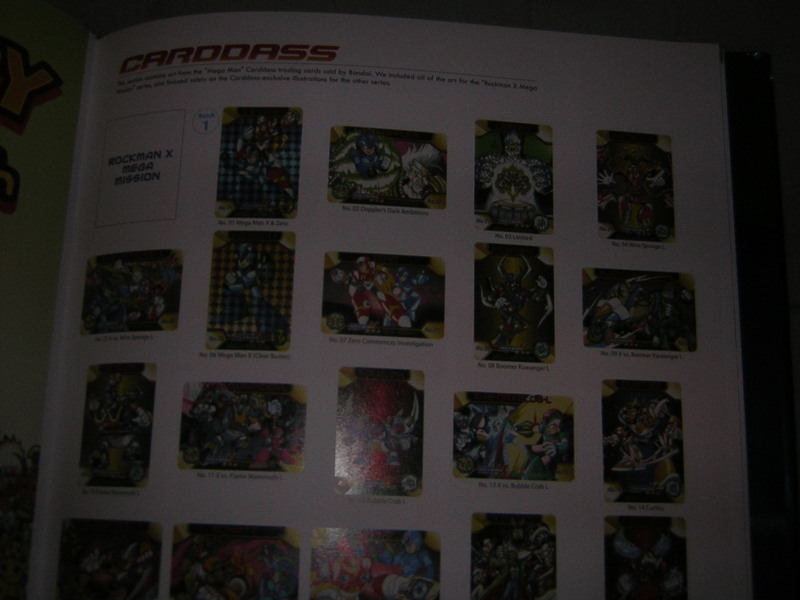 I see the Stardroids as a fluctuation stylistically between the humanoids of the original series and the animals of the X series. Only available for the Genesis, and purportedly chock full of bugs, this is one game I am okay I missed. 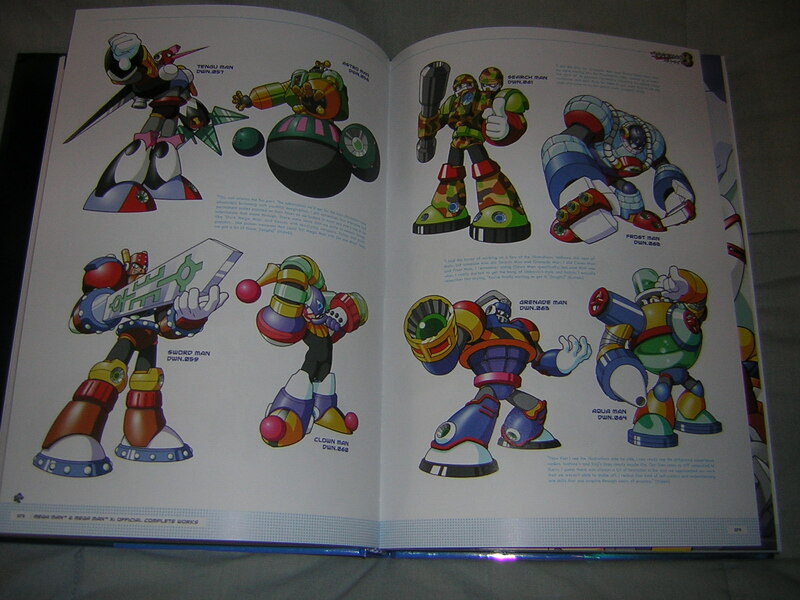 The various arcade fighters. 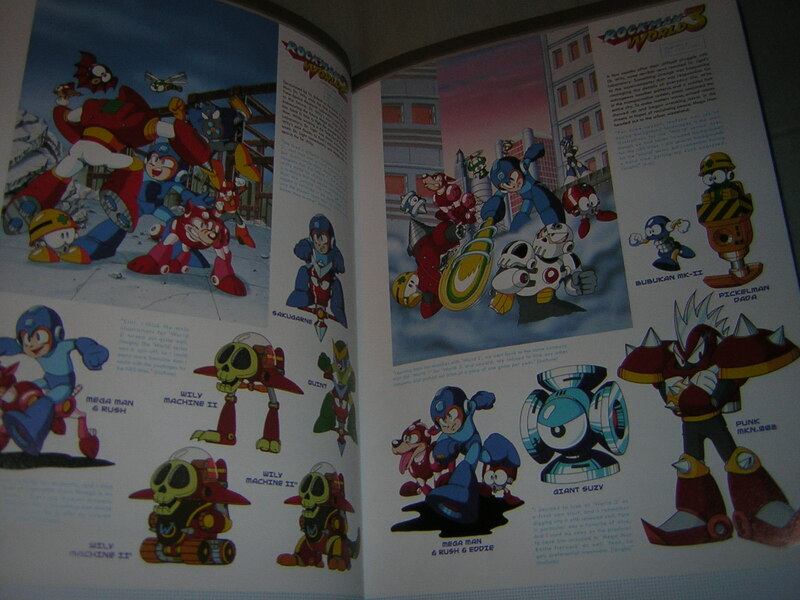 One was re-released in the Anniversary Collection. 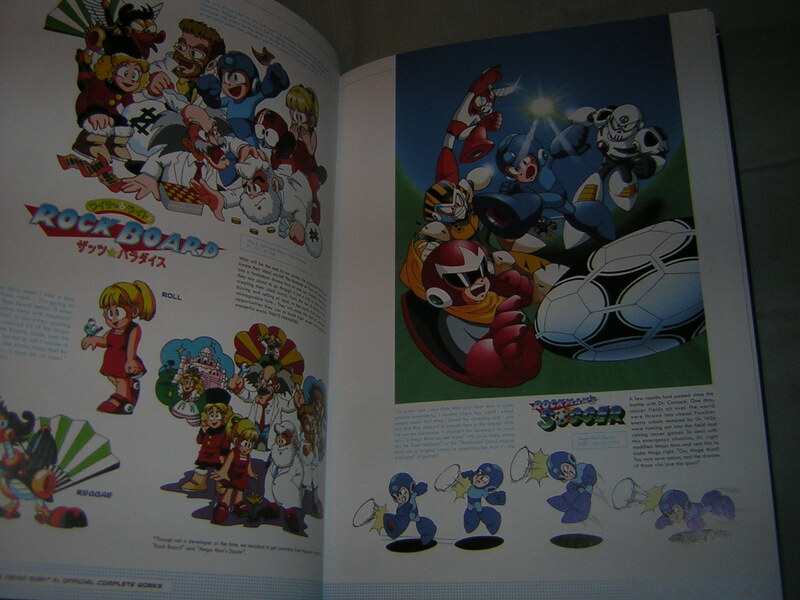 Ah, Mega Man Soccer. Horrible, yet I still enjoy its retro charms. 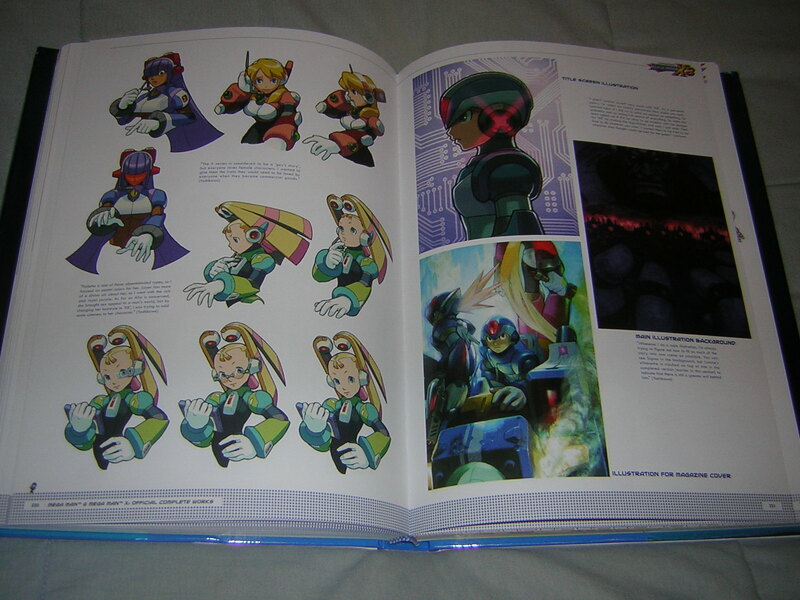 Battle & Chase, re-released in the X Collection. More fun Battle & Chase. 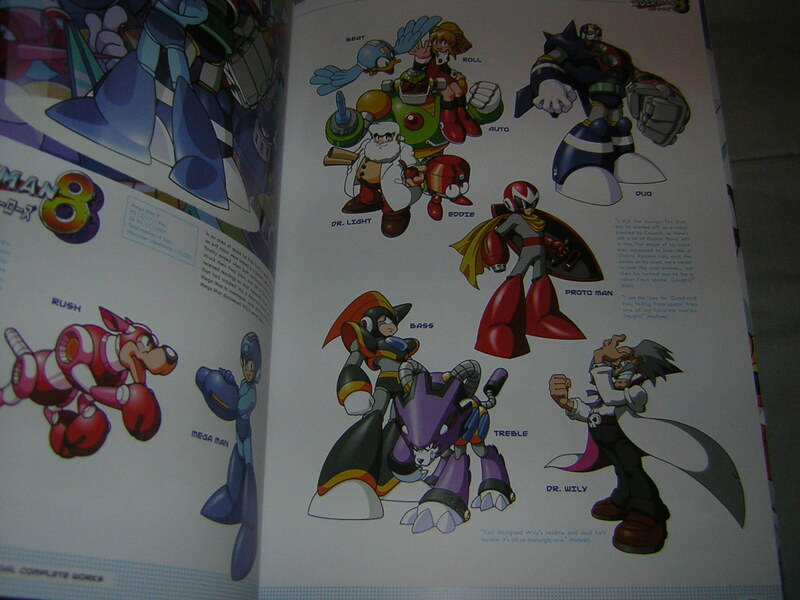 According to Inafune, the worst Mega Man game ever. 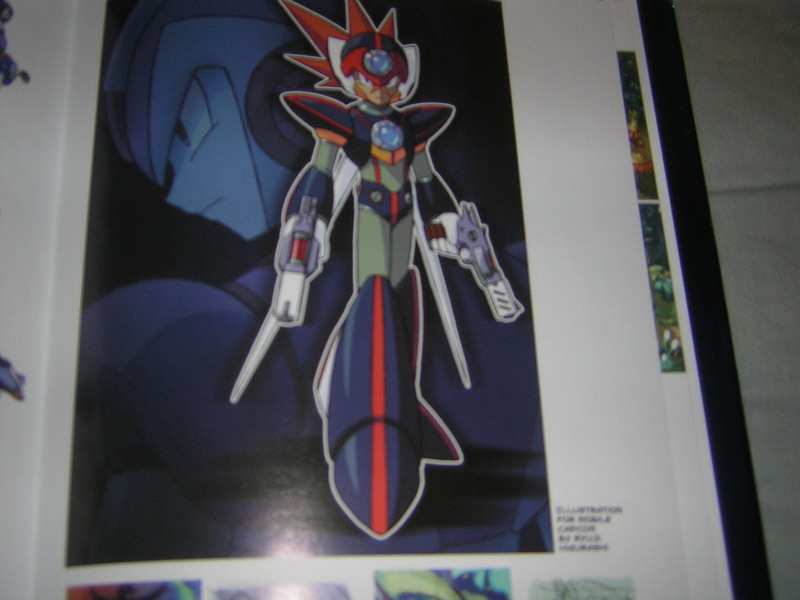 He actually apologizes to fans in the book! 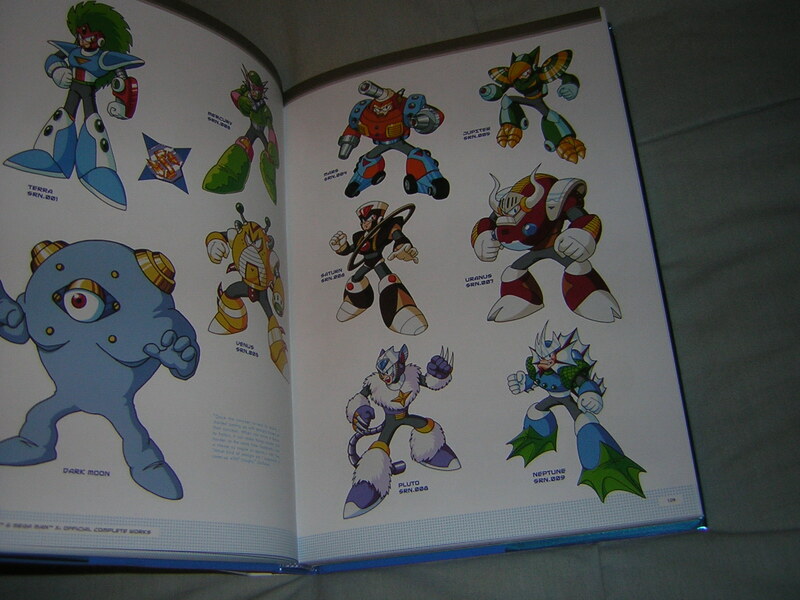 I do like the streamlined designs for the original Robot Masters. 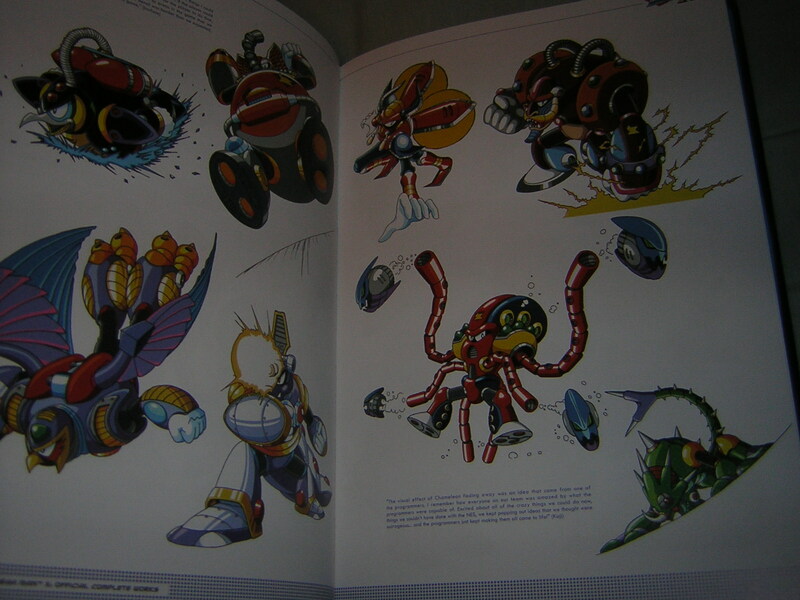 Some of the cool bosses from the Command Mission RPG. 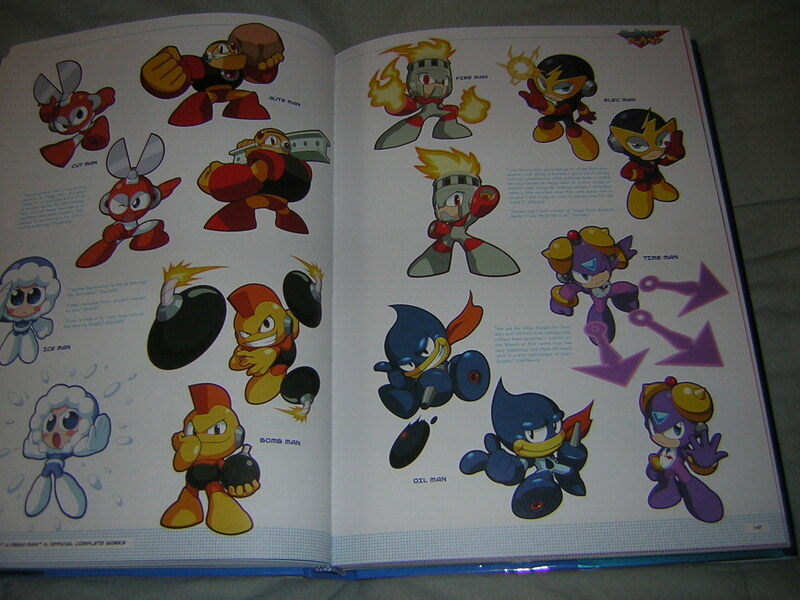 Never played the Xtreme games, but I like the original characters. A robot witch… Why not? 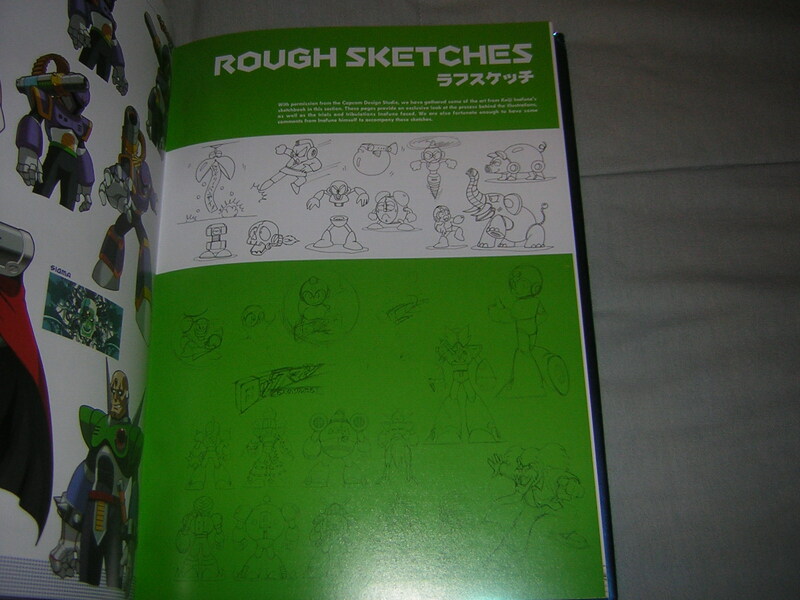 The rough sketches were a gold mine of inspiration for me. 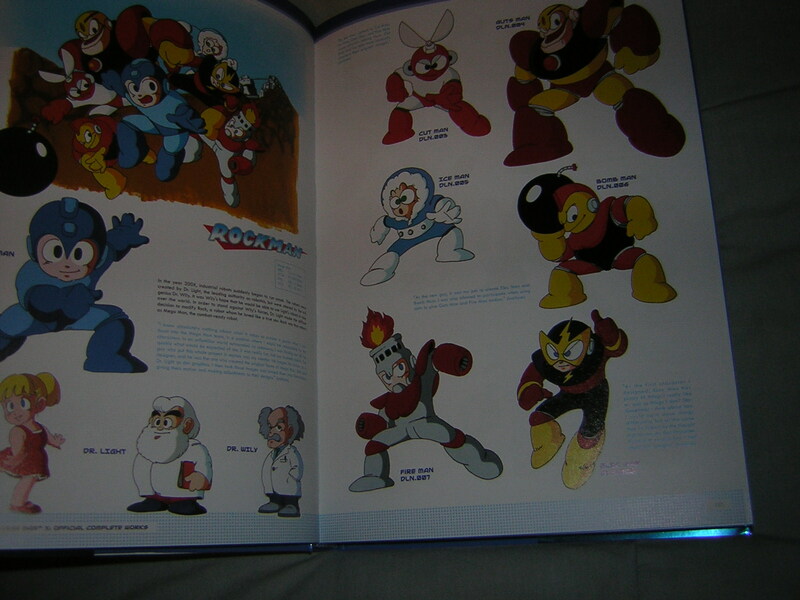 Amazing how far Elec Man has come from these early drafts! 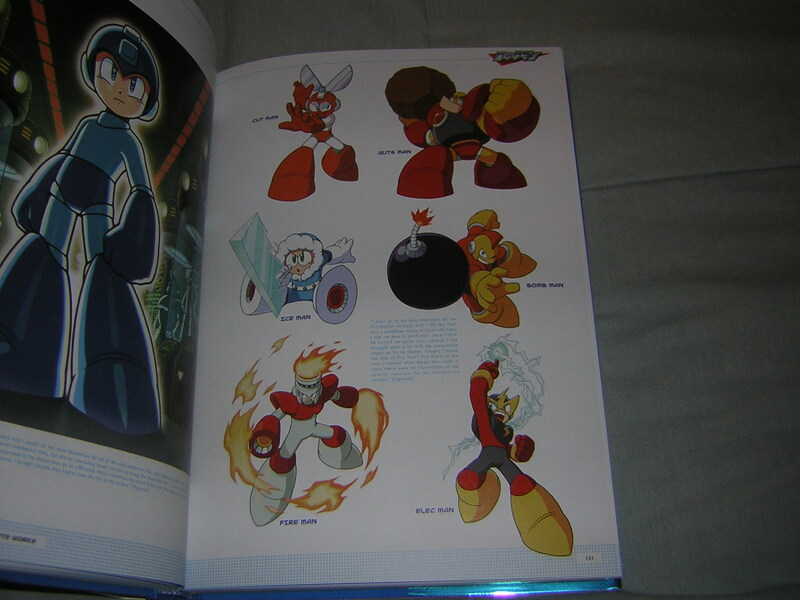 Not to mention Bomb Man. 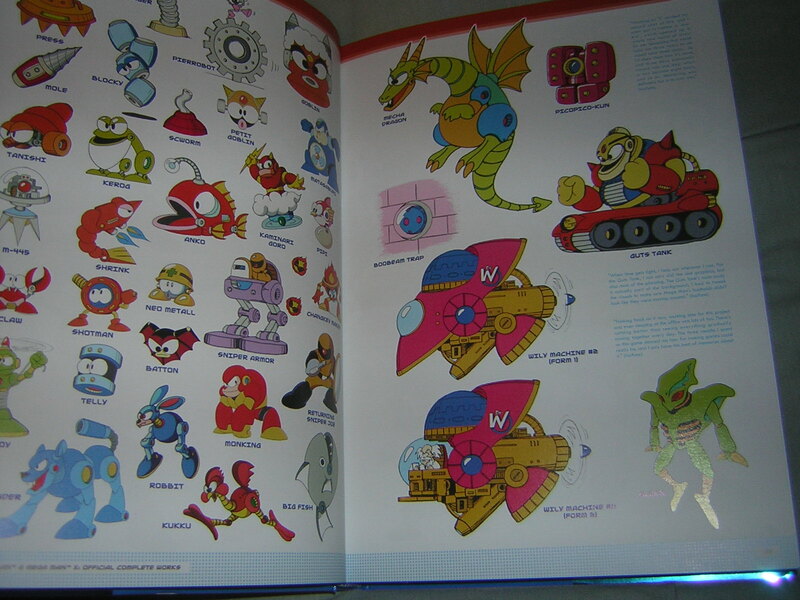 I love looking behind the curtain at how each boss is conceived. 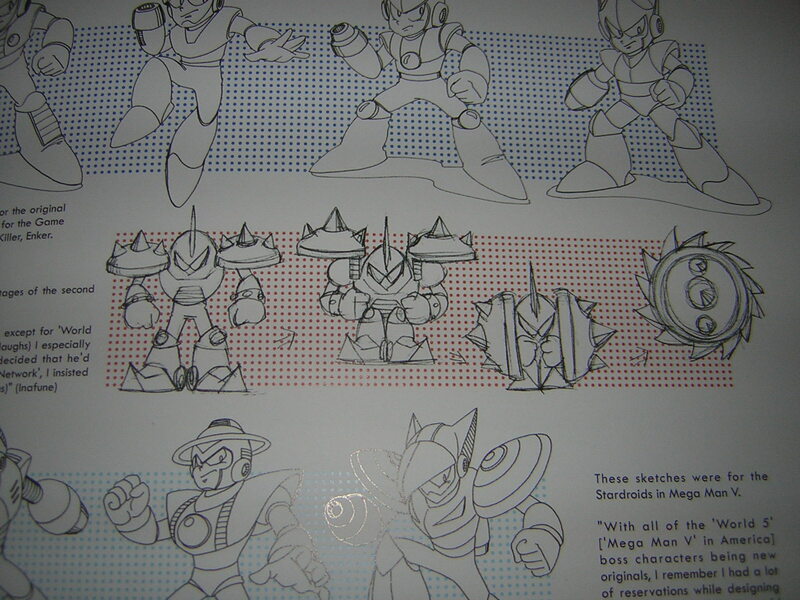 As it turns out, Sigma was originally going to be a group of Mavericks. 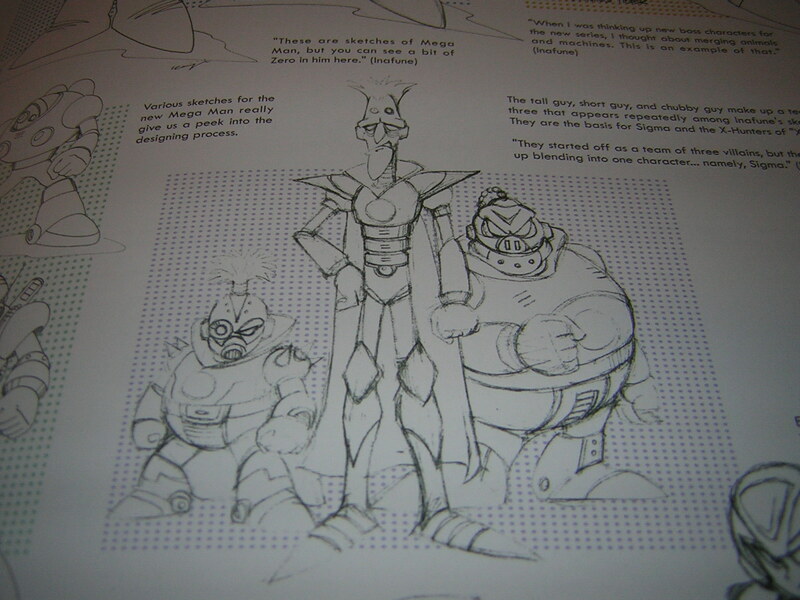 Instead, they lumped these three into one, and Sigma was born! Early Bass and Treble (Baroque and Crush) concepts. I like early Treble. 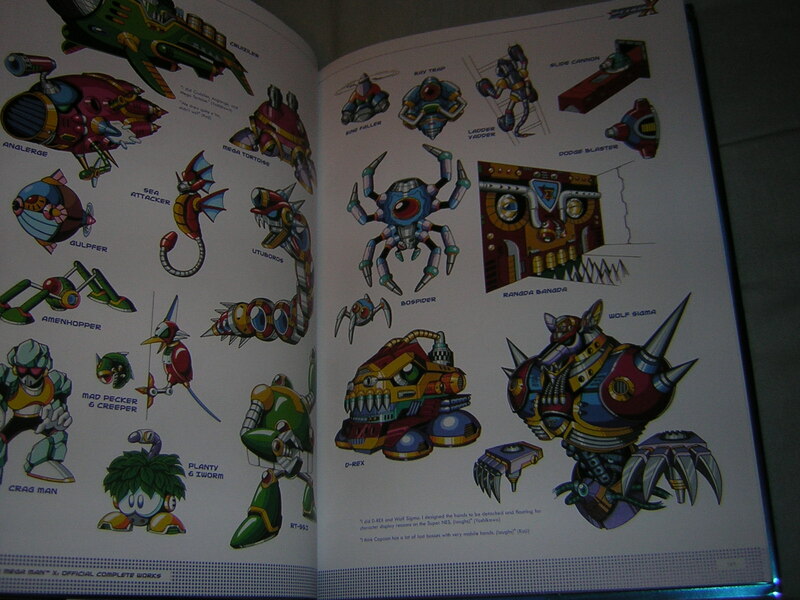 More cool concept art to visualize every character from every angle. Wish I could have done this in the game! 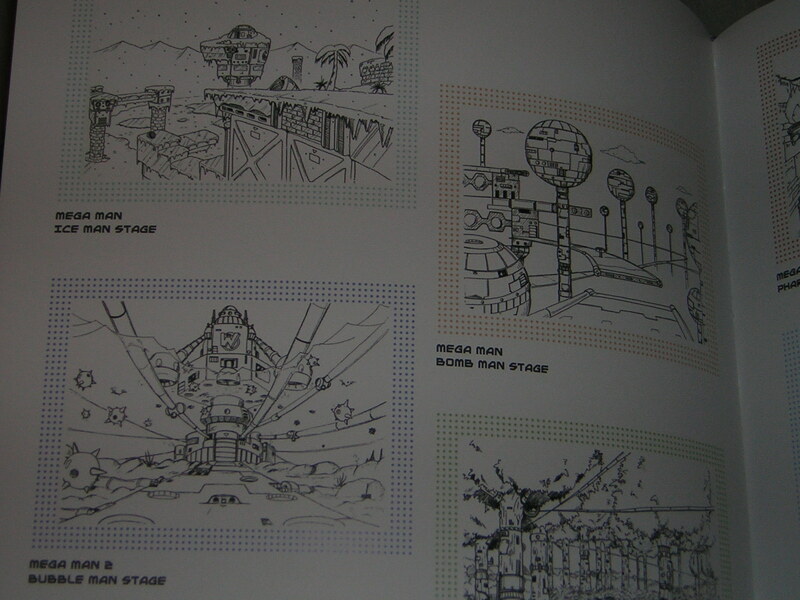 It’s easy to forget how much care goes into the design of every single level. 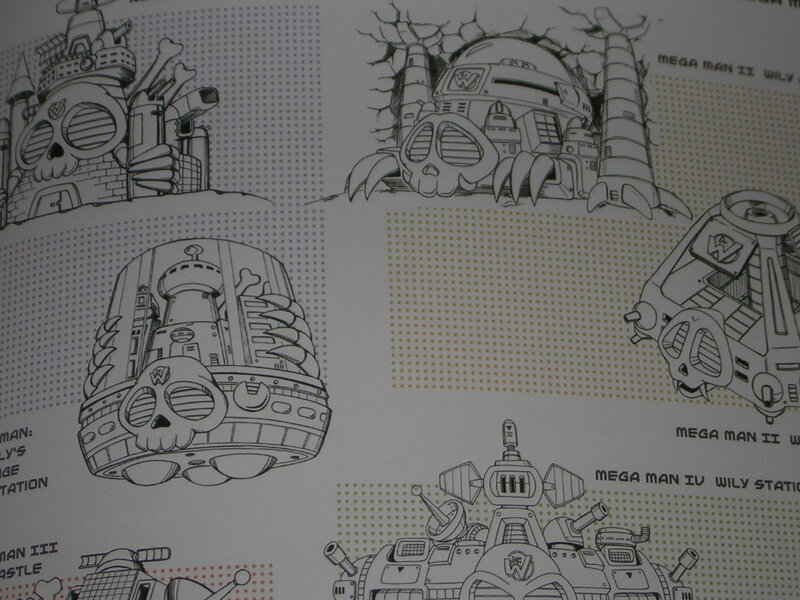 I love the side-by-side views of all of Wily’s various castles. 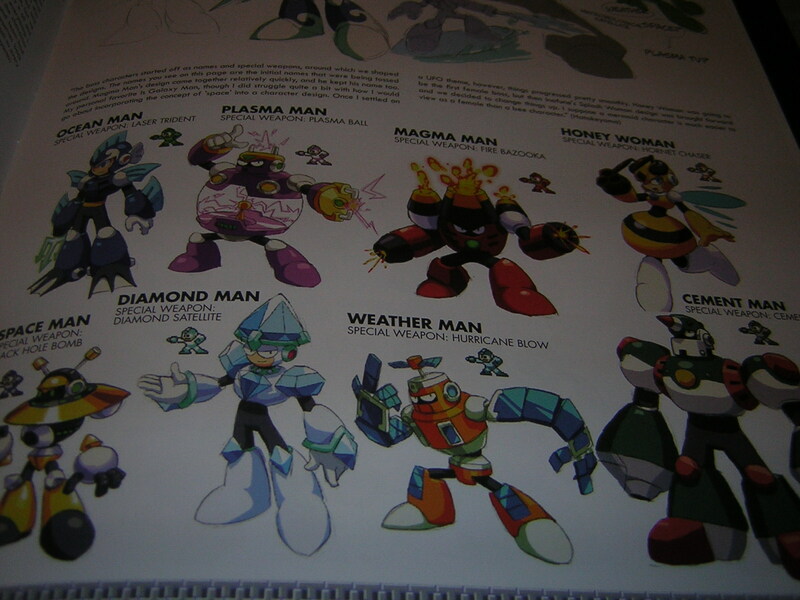 I wish they had kept Weather Man and just changed his name… Also, Hornet Man started as Honey Woman. 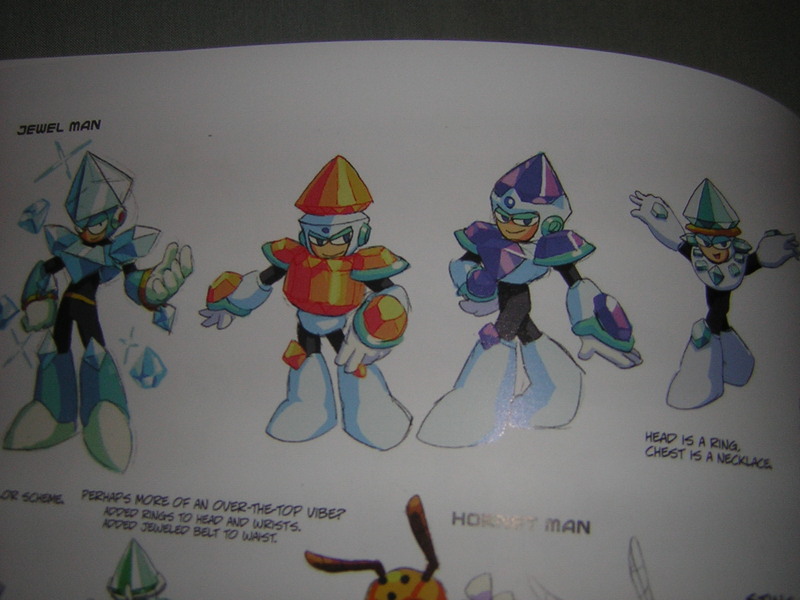 Jewel Man had some interesting variants. 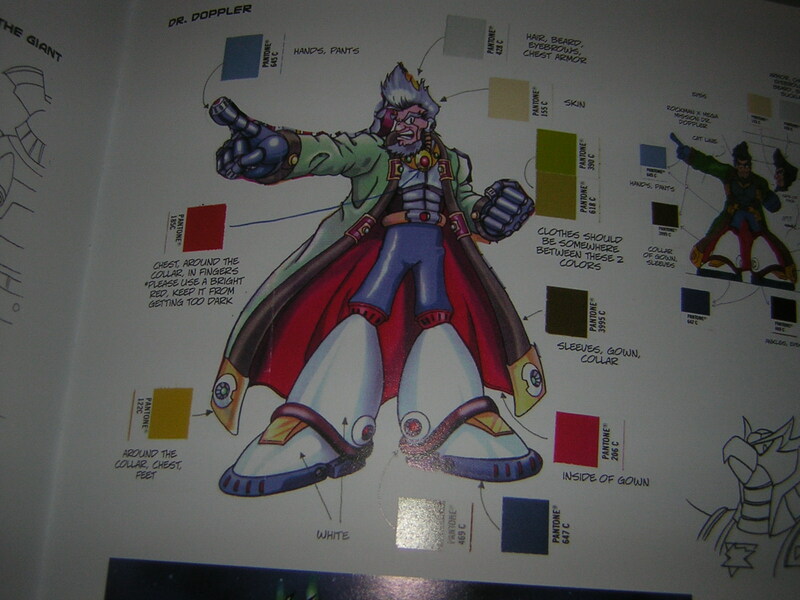 A cool look at how color is used on Dr. Doppler. 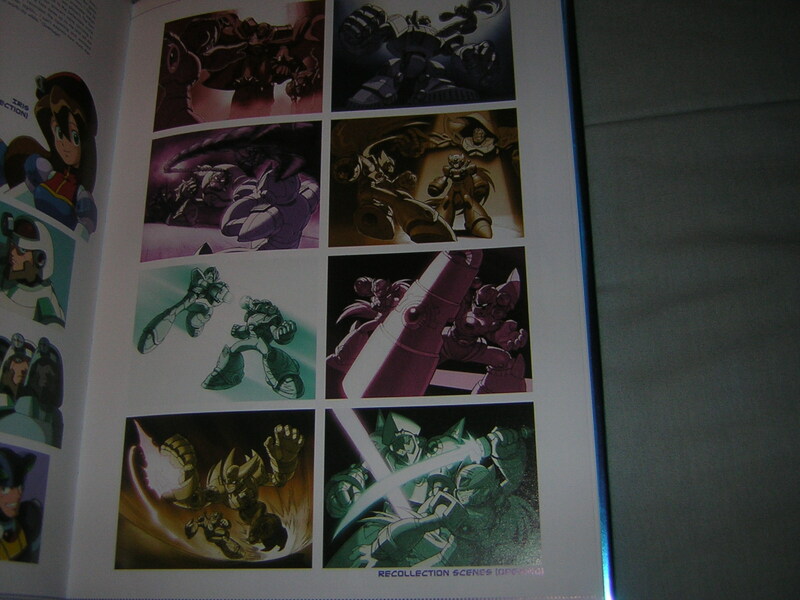 Tons of cool Command Mission art. 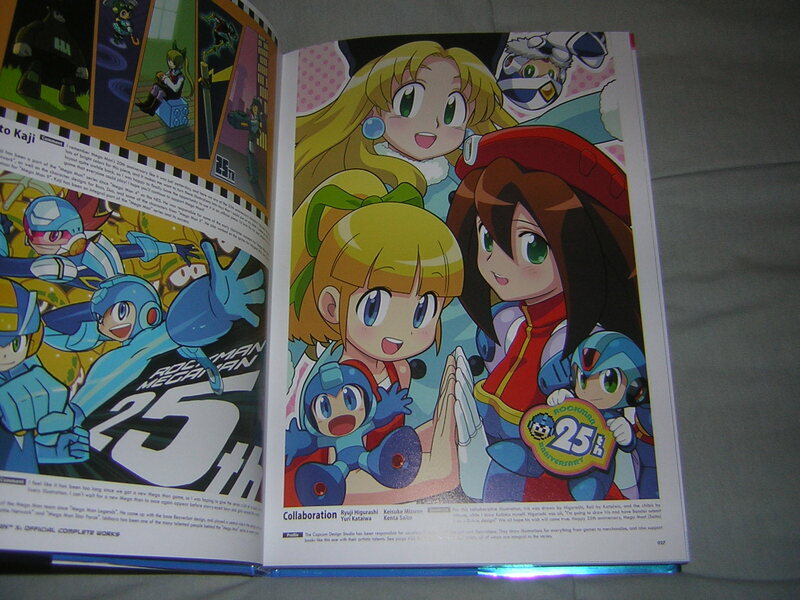 Alternate reality Mega Man with female Robot Masters? Why not?! I don’t even know what I should call this, but it looks awesome. 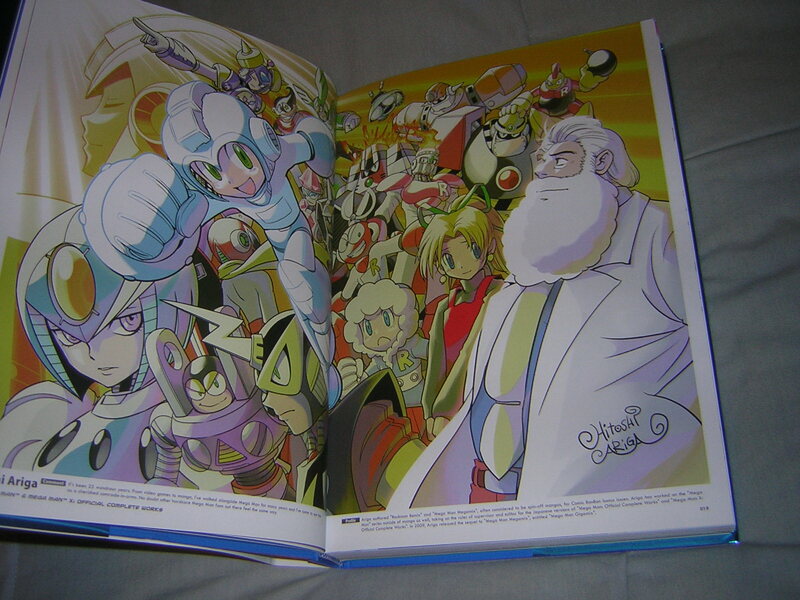 Rock, Roll and Dr. Light in 1950s attire. 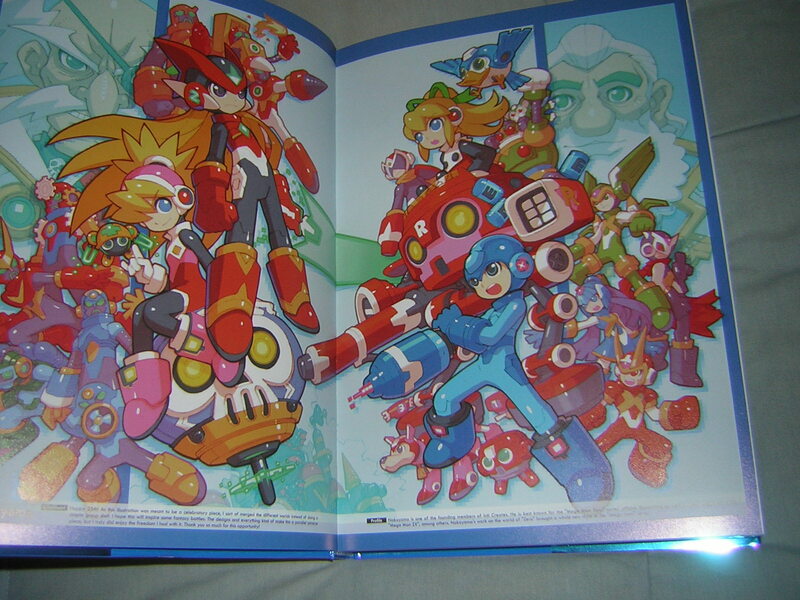 Promotional art from various games. 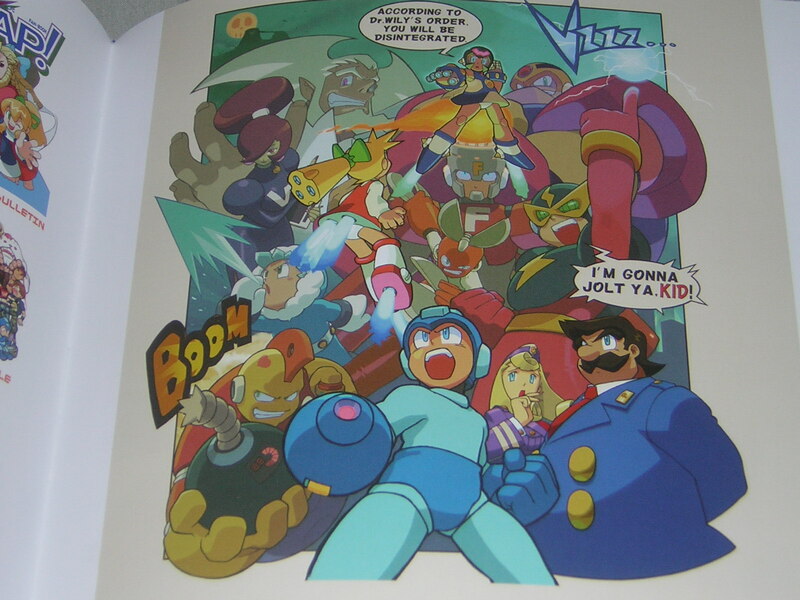 Another unique take on the Mega Man universe by Hitoshi Ariga. 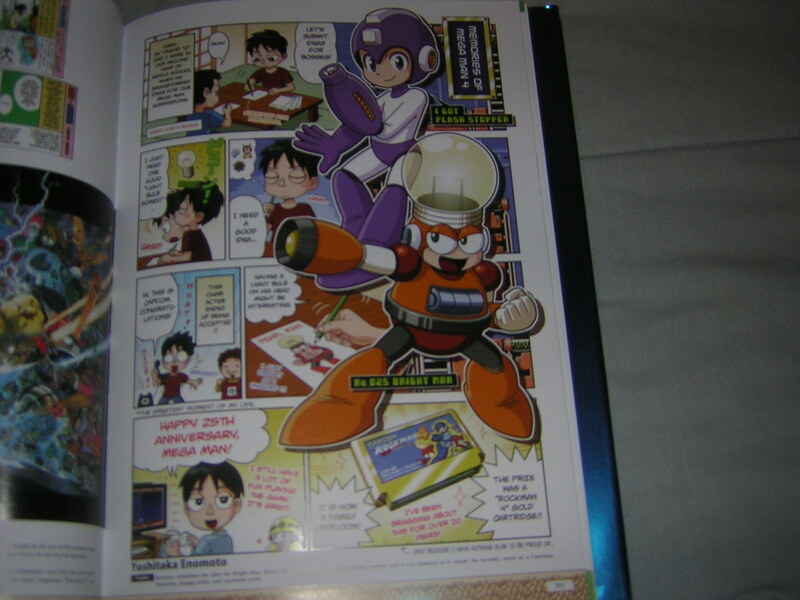 Mega Man manga available only in Japan. And you thought the early North American box art was bad… This is what Europe got! 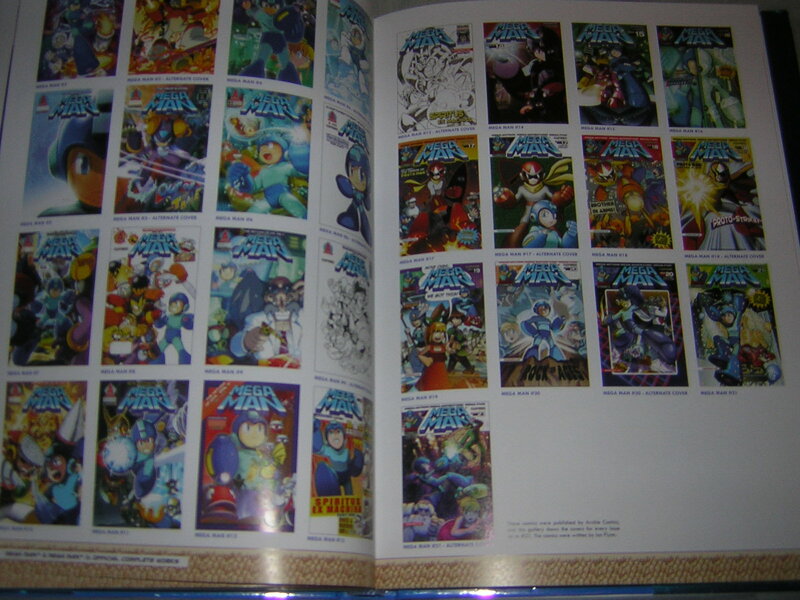 The Archie Mega Man comic series. Cool story detailing how Bright Man came to be, with ruminations by the artist, Yoshitaka Enomoto. 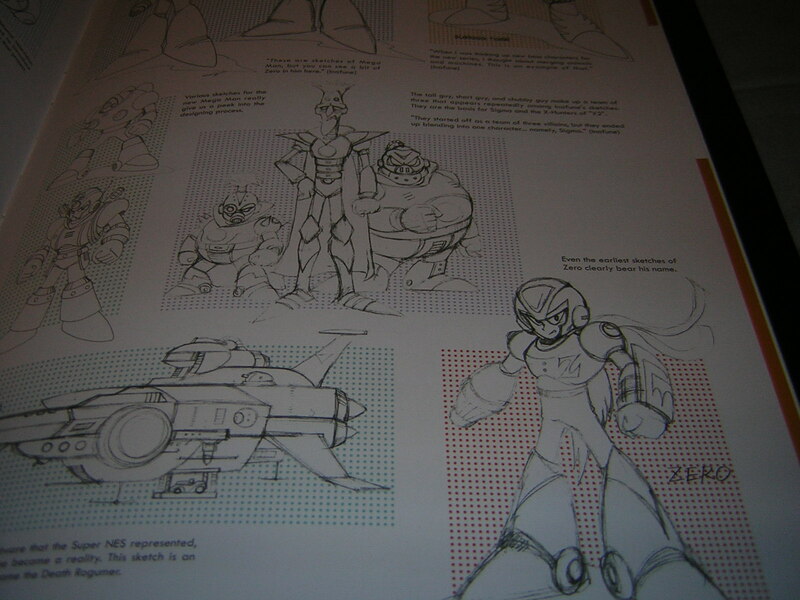 Lest anyone say I am hating on X7 and X8, a cool shot of Axl. 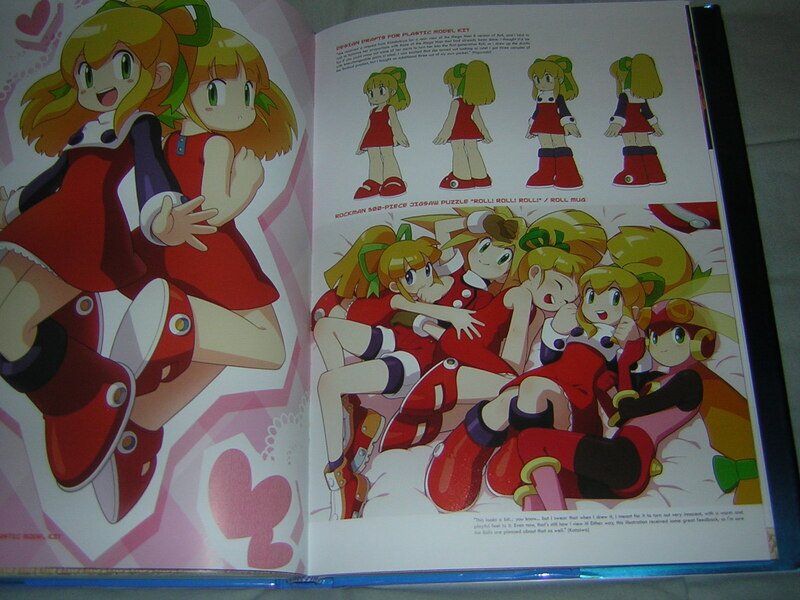 In closing, I just want to reiterate how much I love this art book. 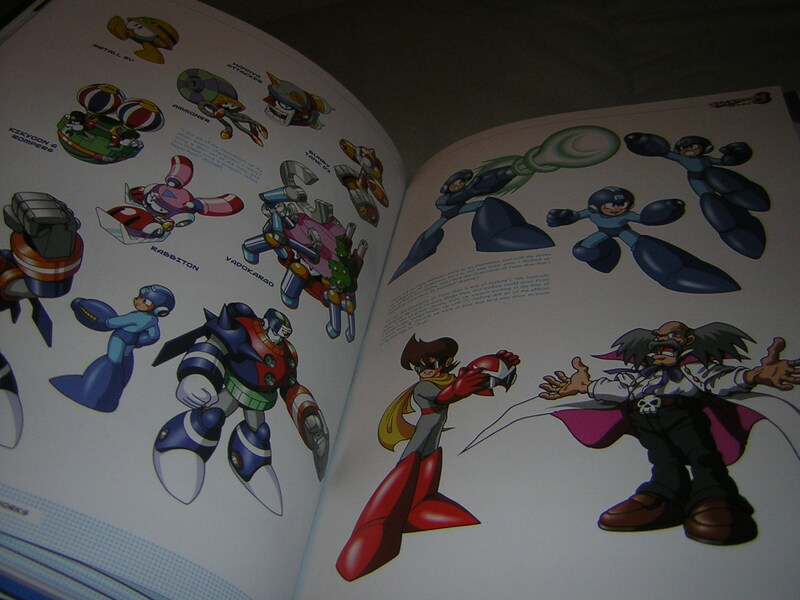 At over 400 pages, MM25: Mega Man & Mega Man X Official Complete Works is a font of beauty, wisdom and nostalgia. 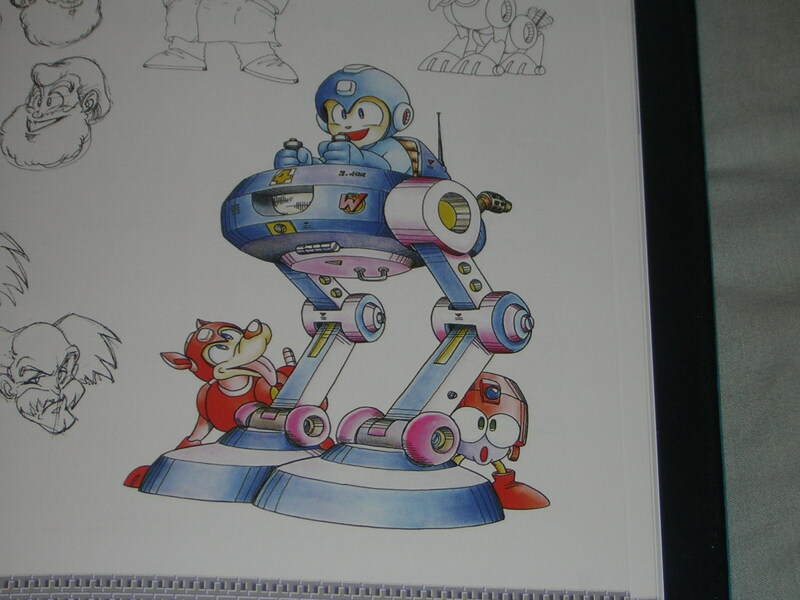 It shows how far the Blue Bomber has come in 25 years, as well as showing where he can still grow. 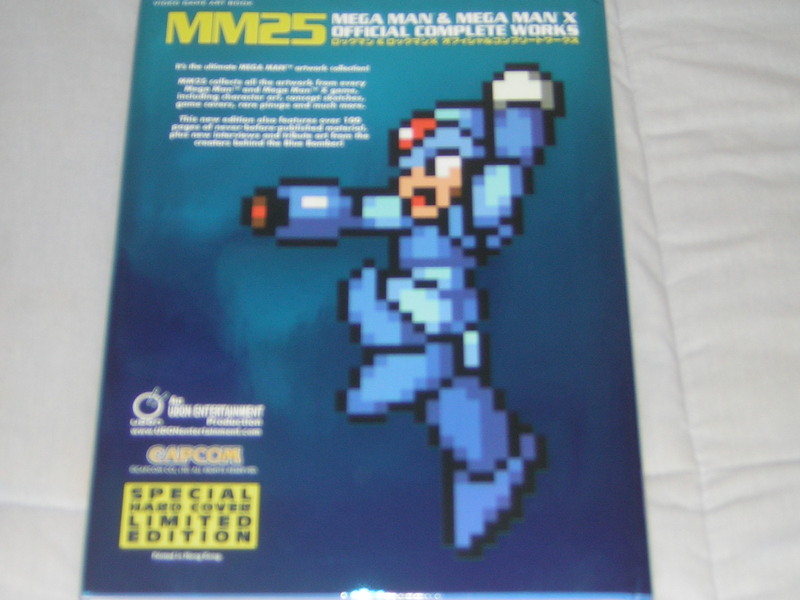 Quite simply, it is a must-have for any true Mega Man fan, and I still think it’s a bargain at $100 (USD) at the Udon store. However, if that’s too steep, you can find a softcover version on Amazon.com , Amazon.ca , and Amazon.co.uk for significantly less. 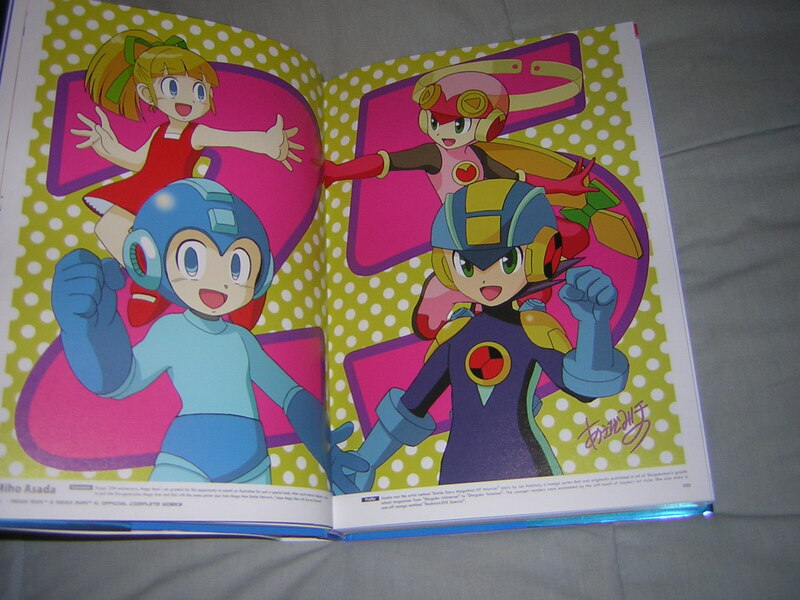 I truly hope Capcom doesn’t forget how valuable a commodity Mega Man truly is in the years to come. 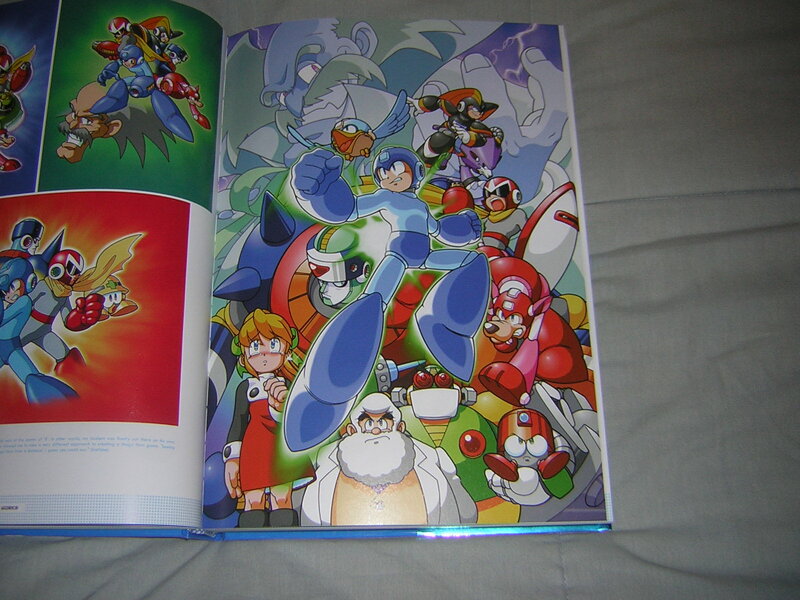 Beautiful opening picture, courtesy of Keiji Inafune himself. Cool shot by Hideki Ishikawa (left). A very dramatic scene by Koji Izuki. 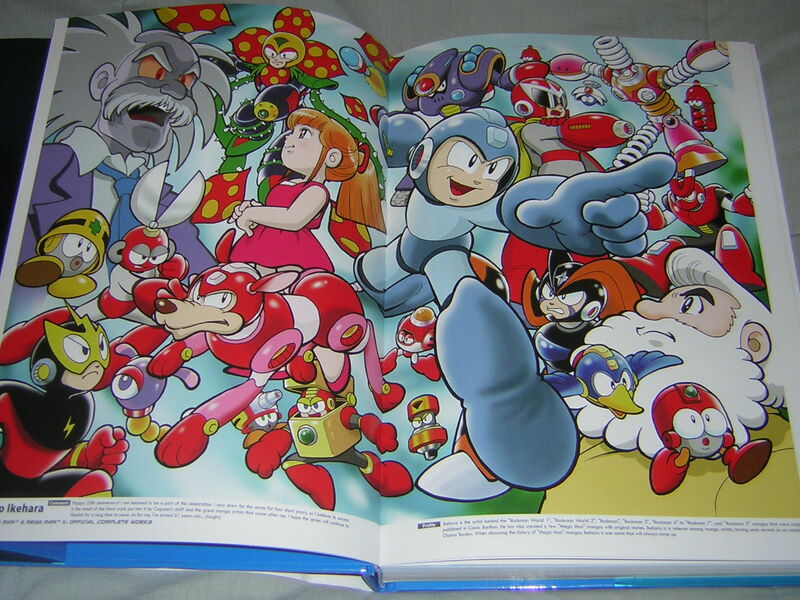 Nice group picture by Hitoshi Ariga. Nice celebratory page by Miho Asada. Cool compilation scene by Ryuji Higurashi, Yuri Kataiwa, Keisuke Mizuno and Kenta Saito. 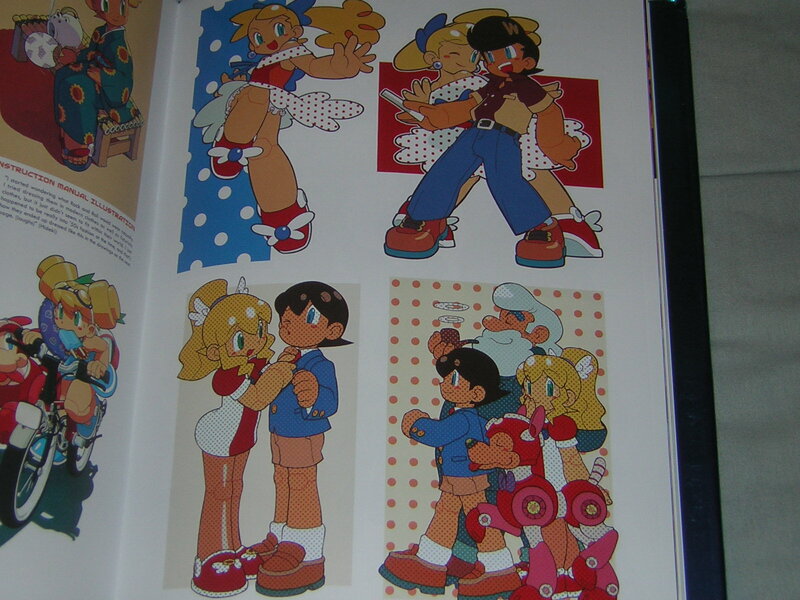 Cartoony page by Shigeto Ikehara. 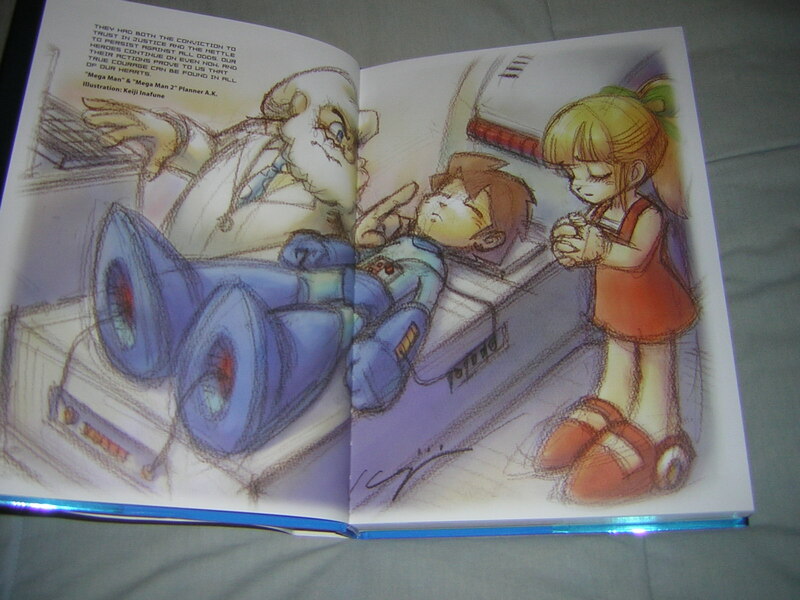 My fave pic: classic Mega Man as imagined by Toru Nakayama of Inti Creates! Really cool stuff.